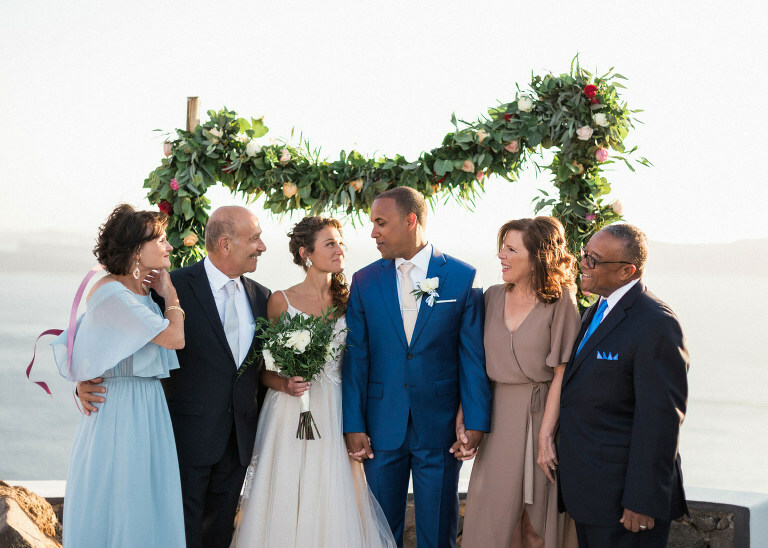 A family is like branches on a tree, we may grow in different directions, but our roots remain as one. 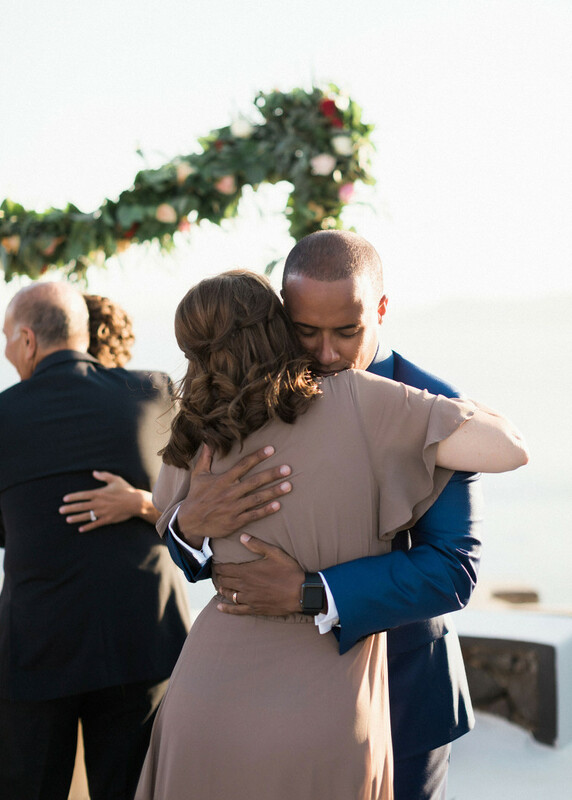 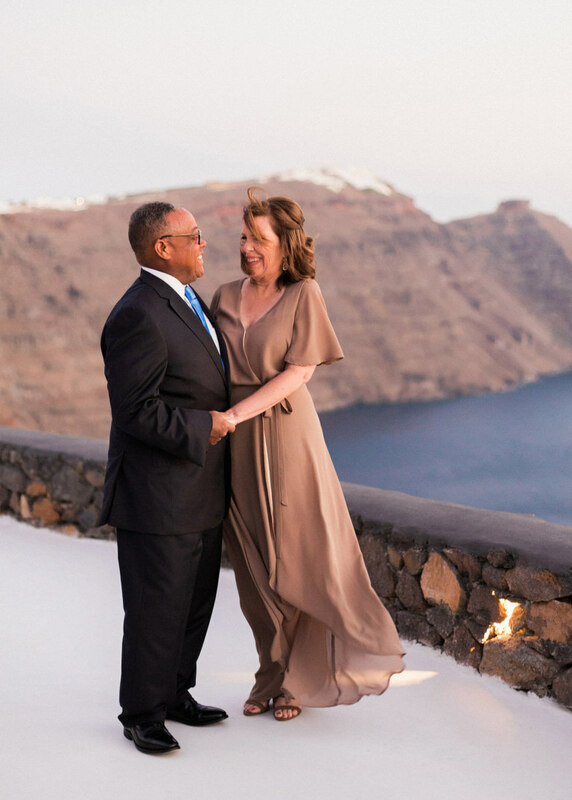 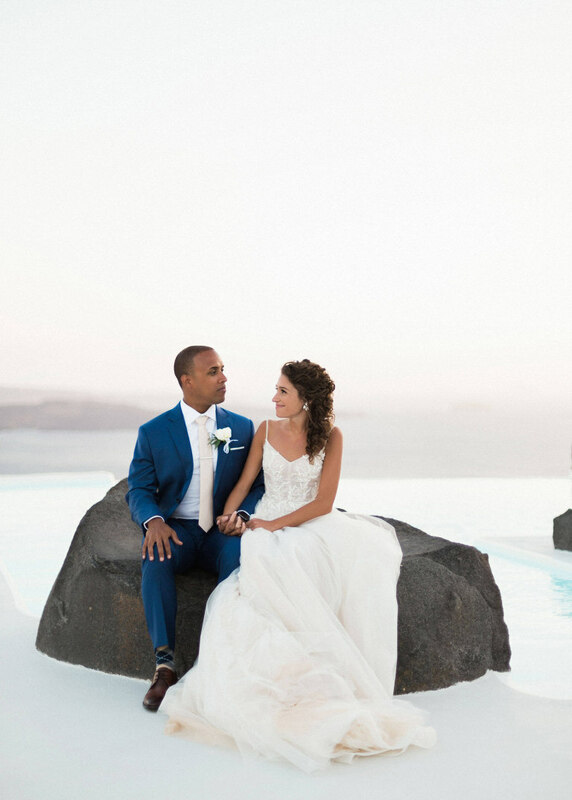 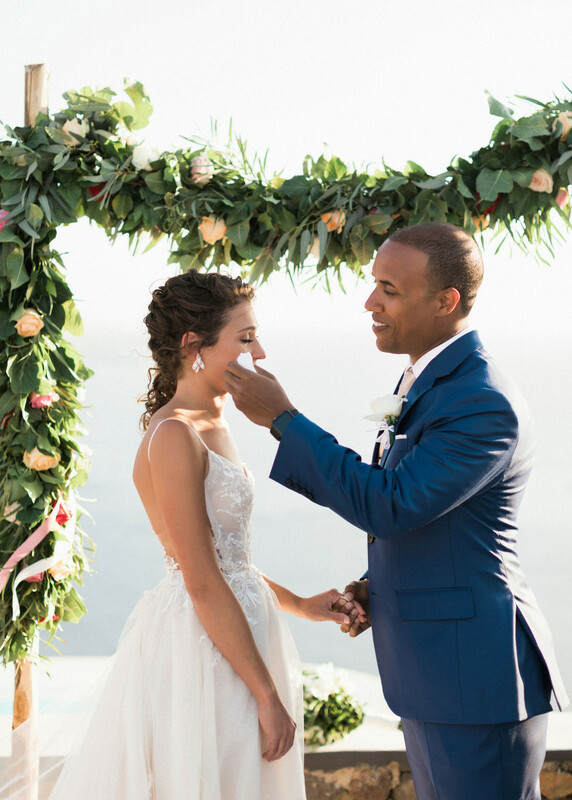 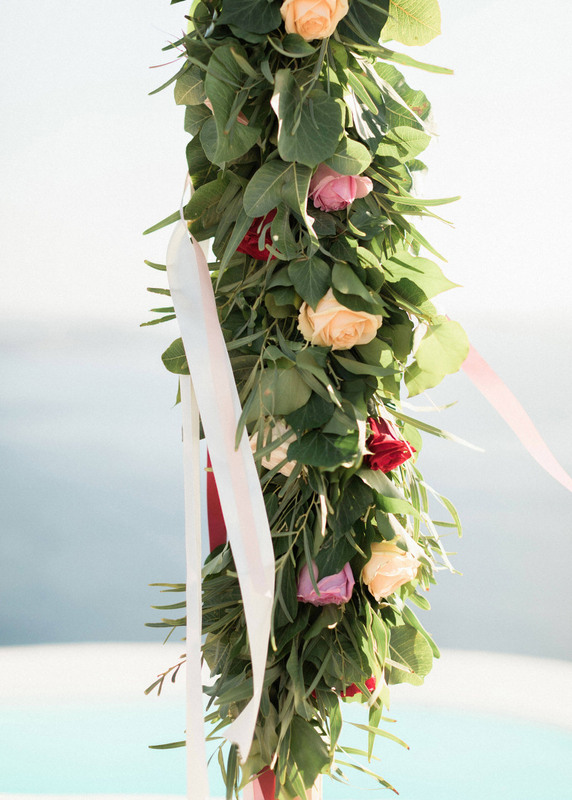 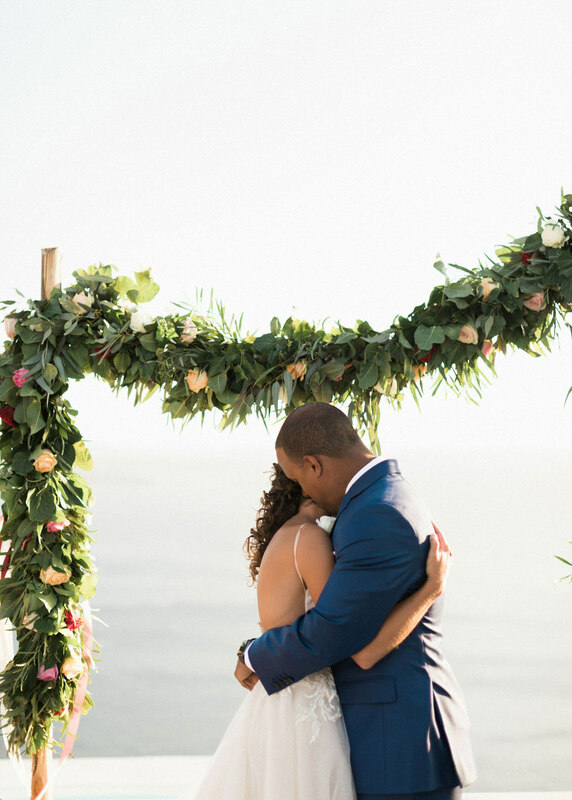 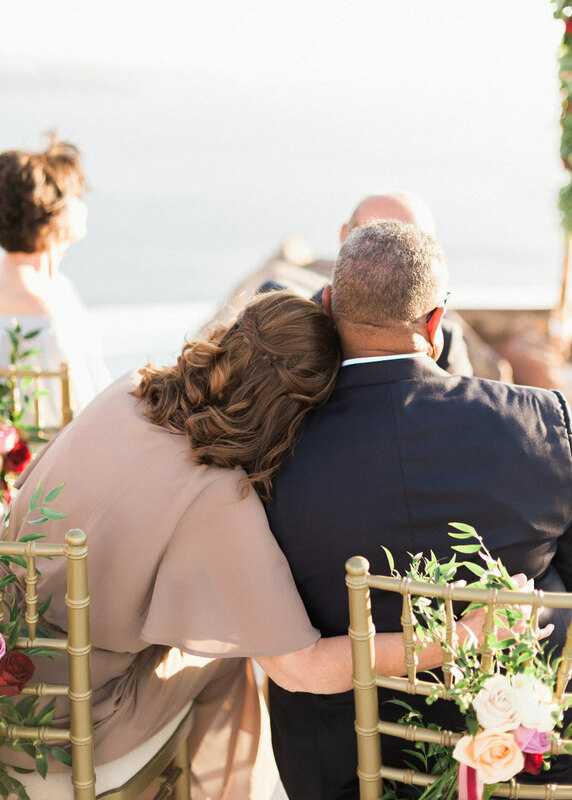 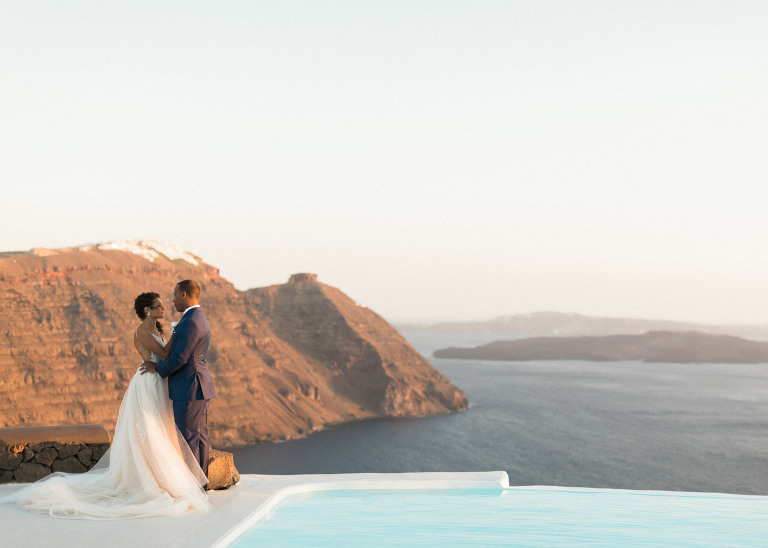 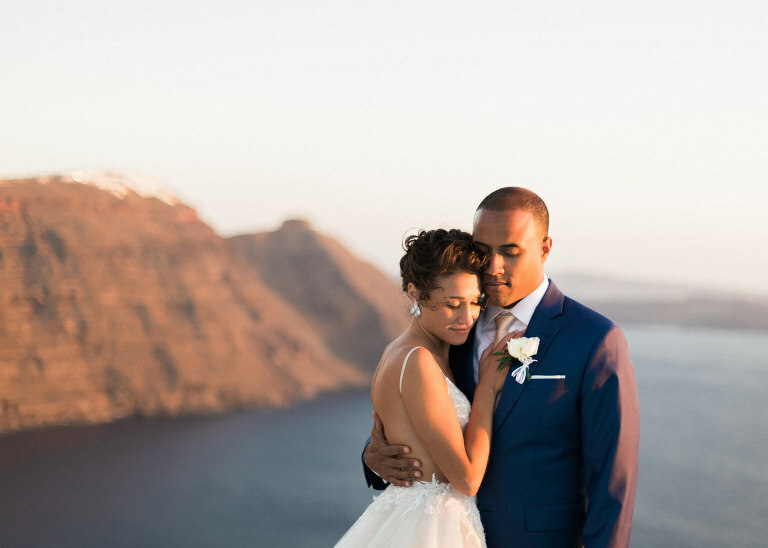 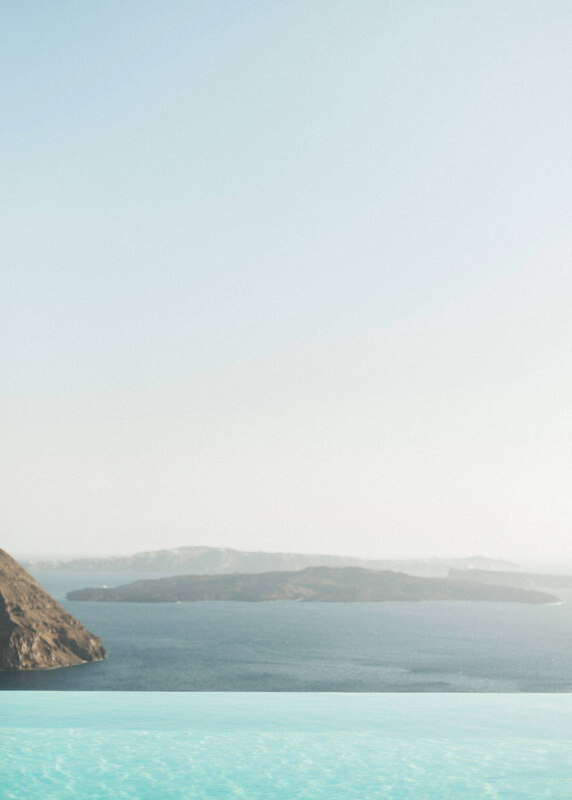 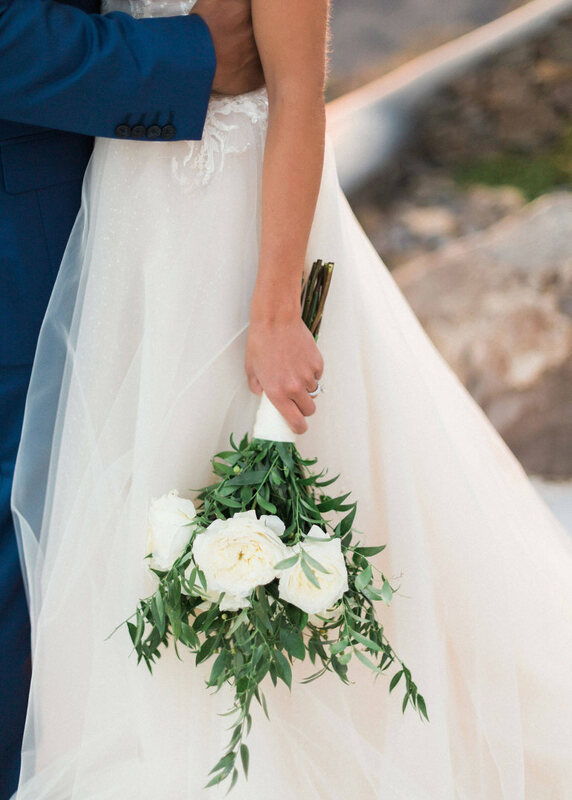 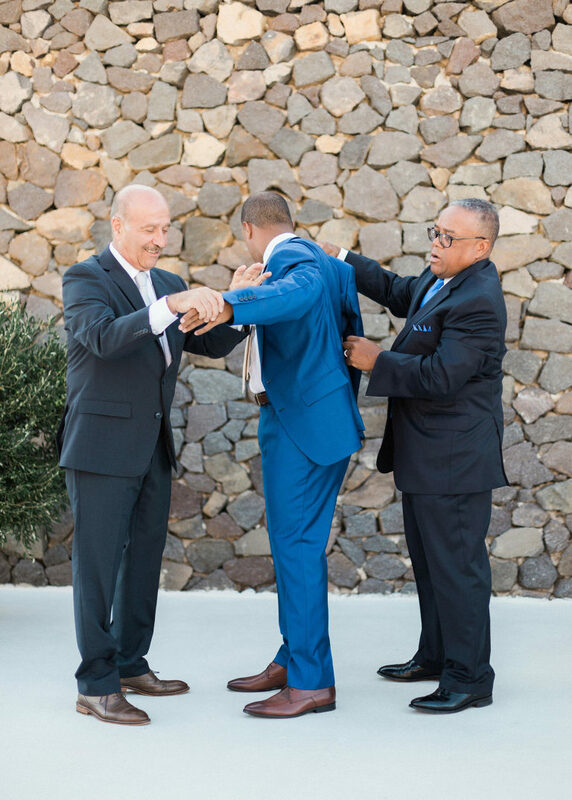 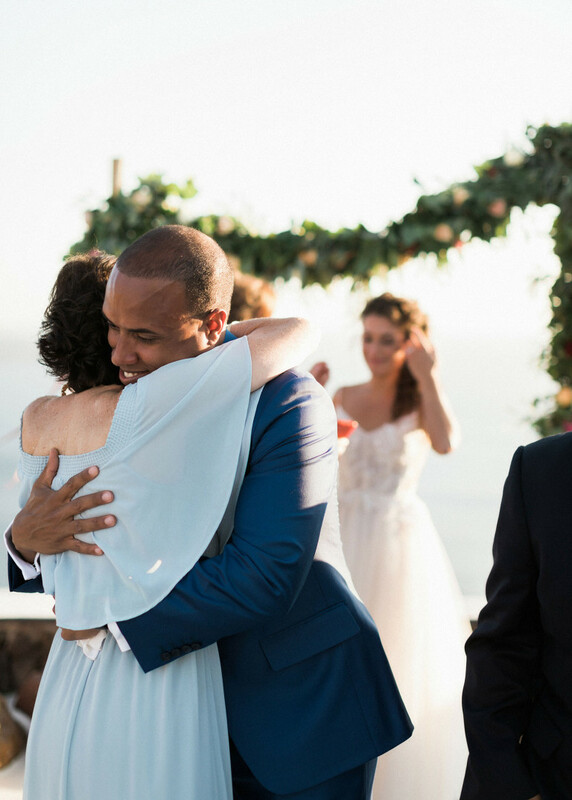 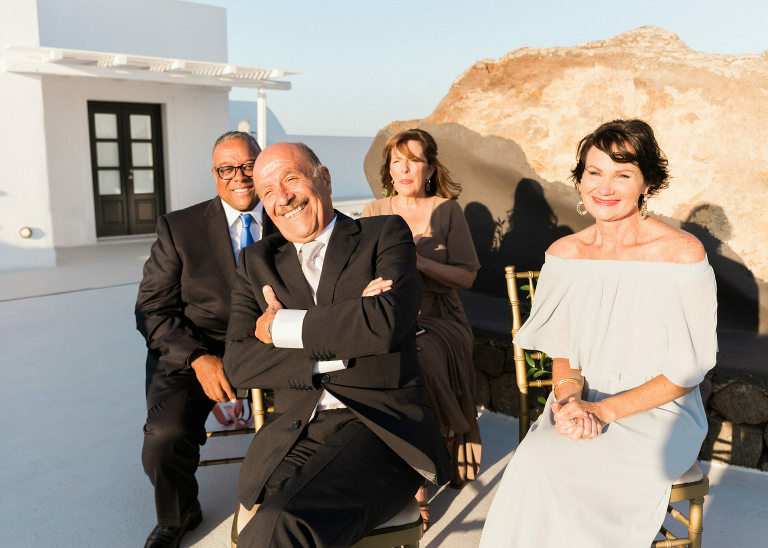 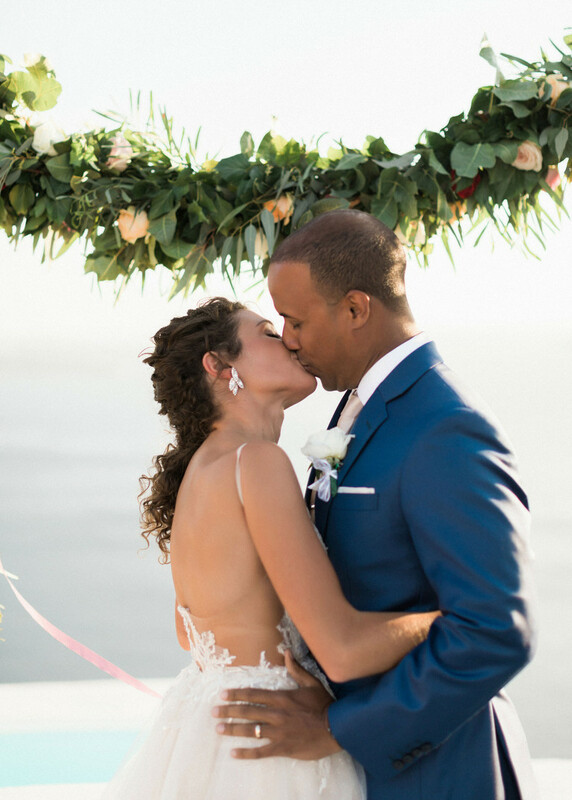 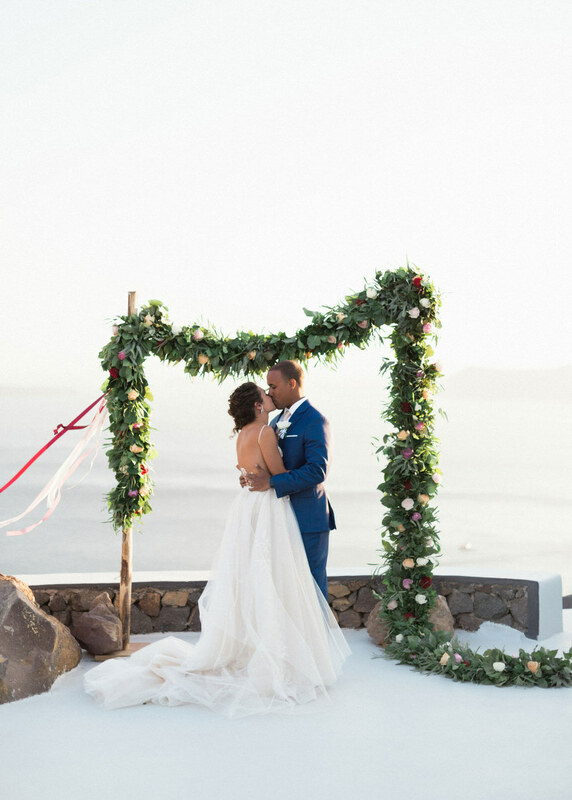 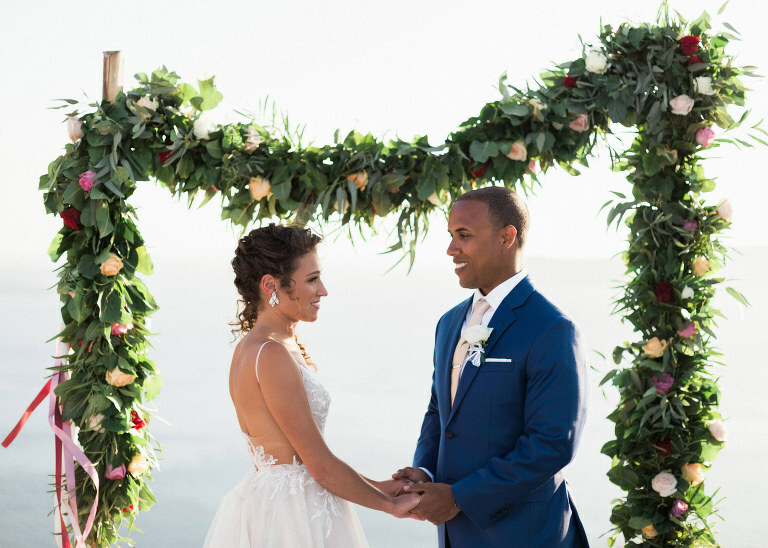 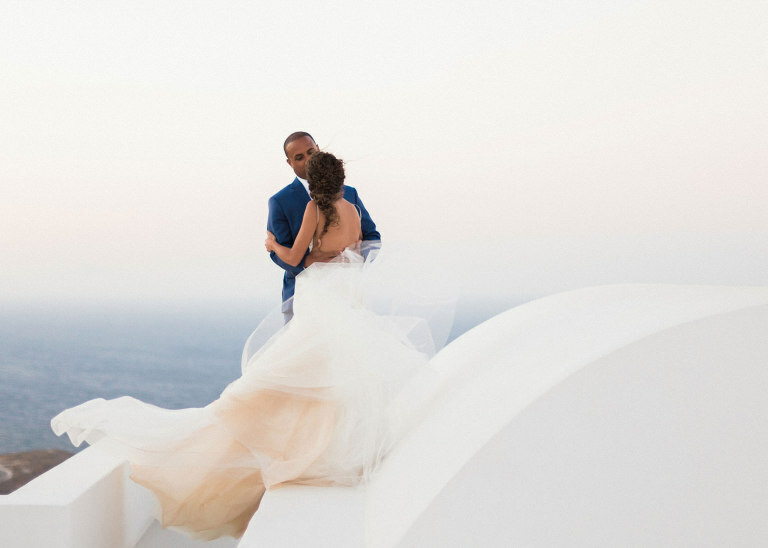 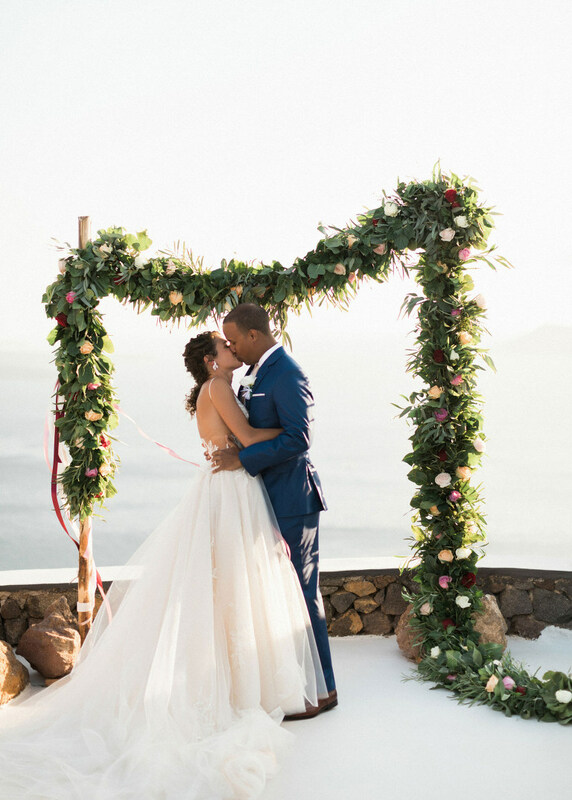 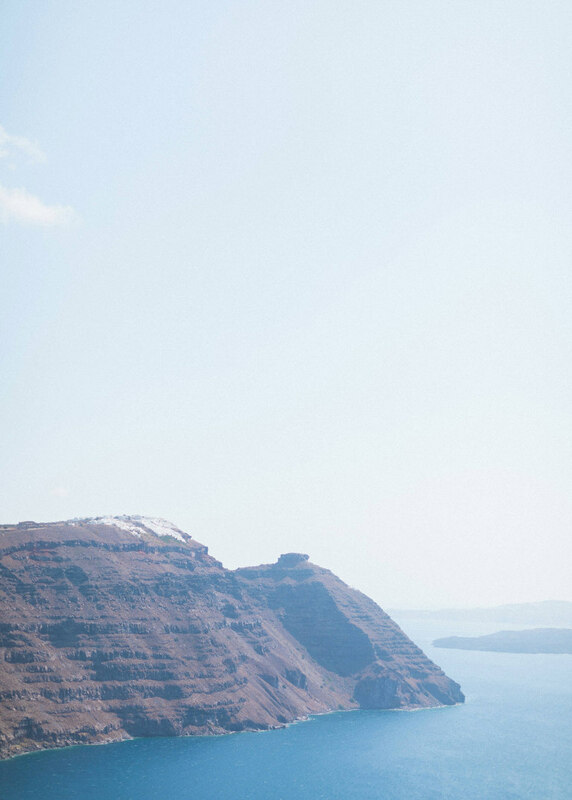 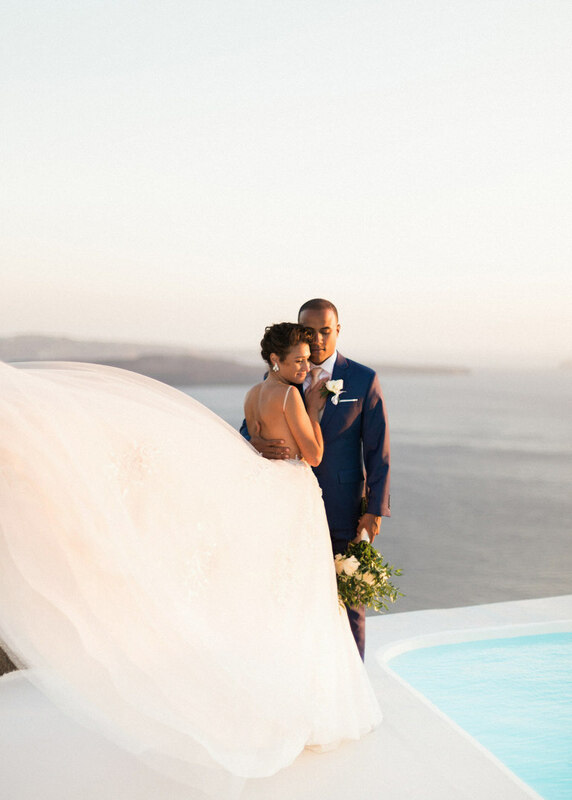 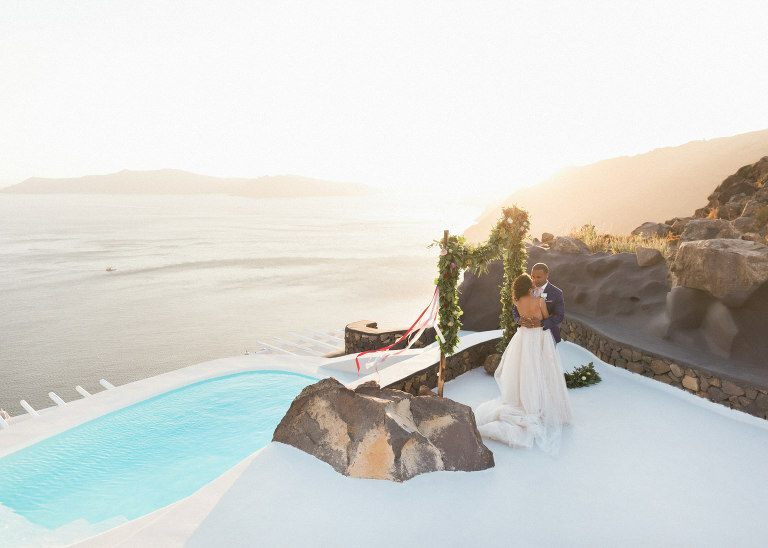 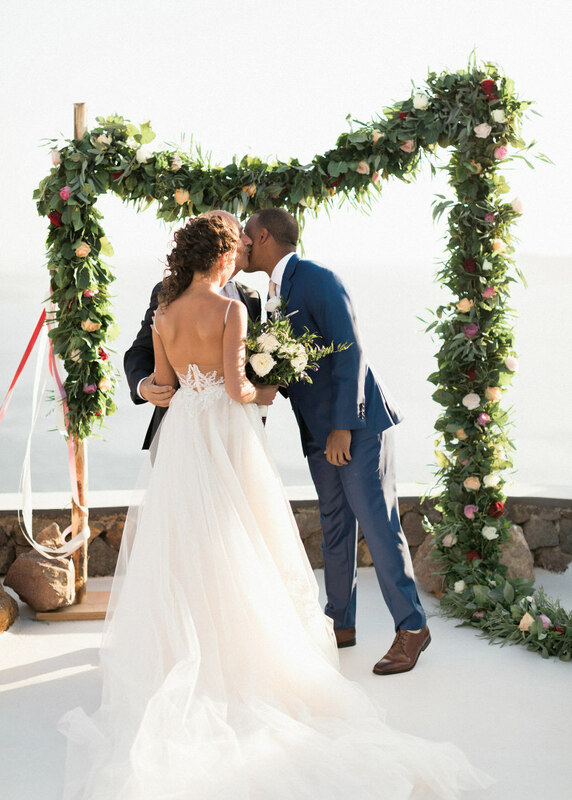 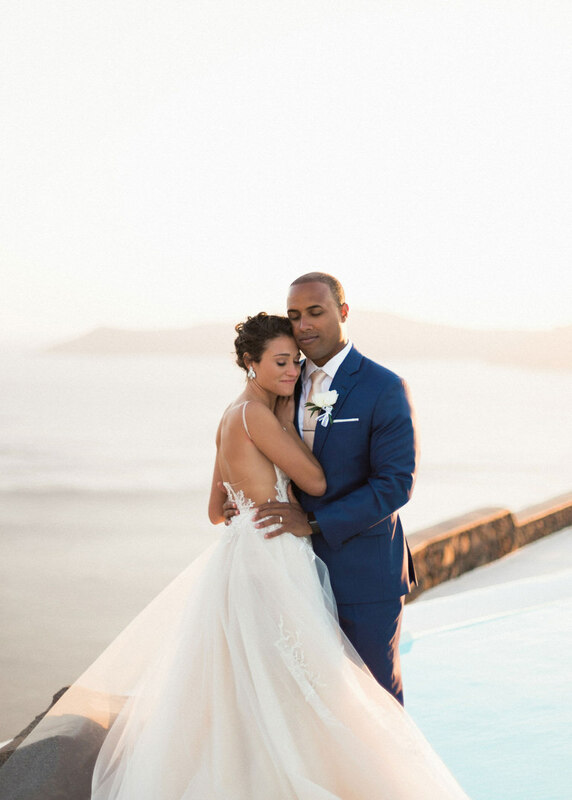 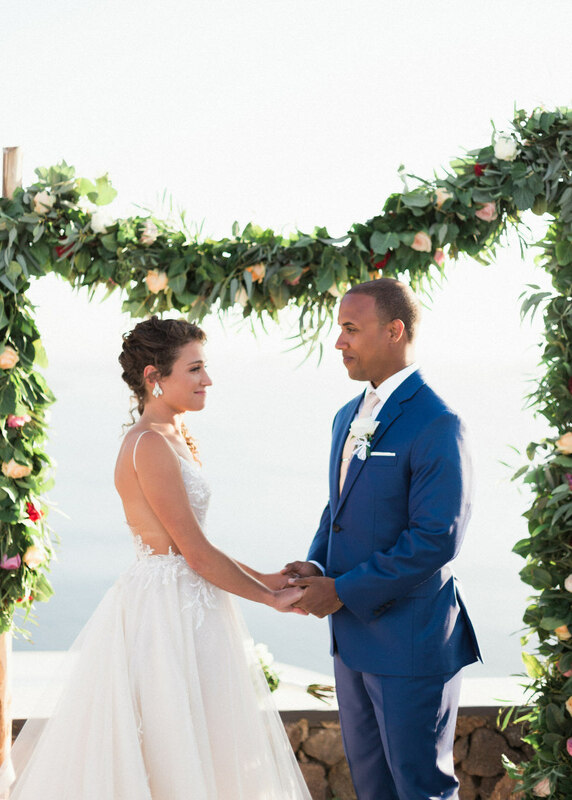 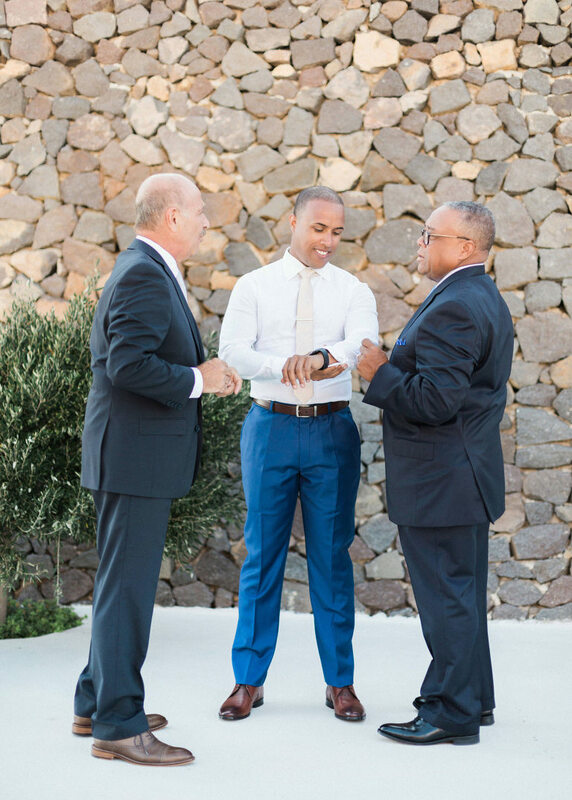 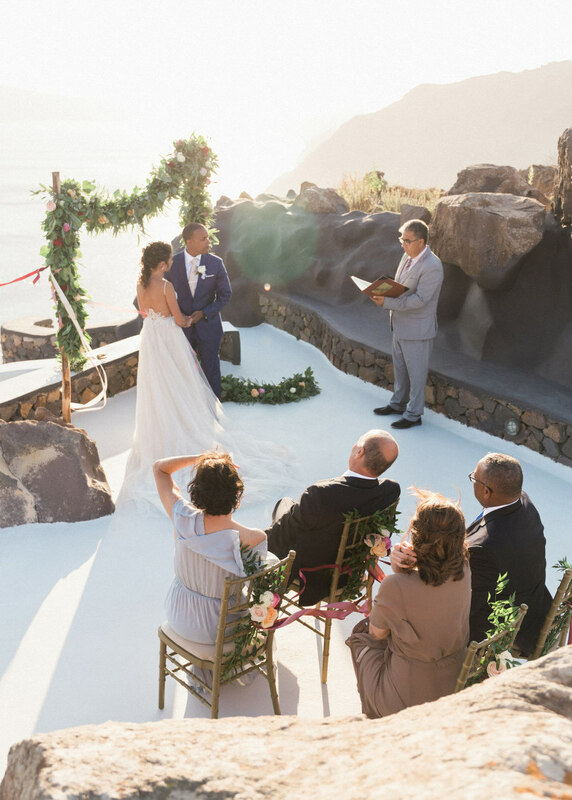 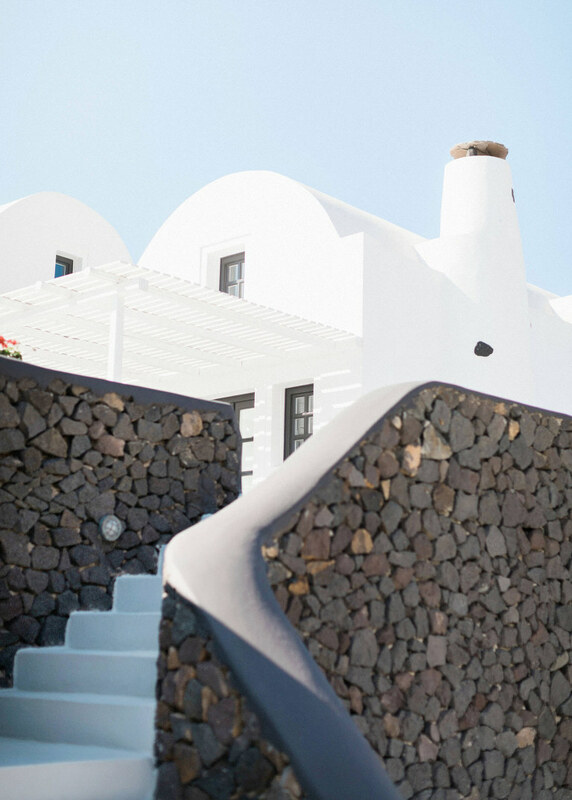 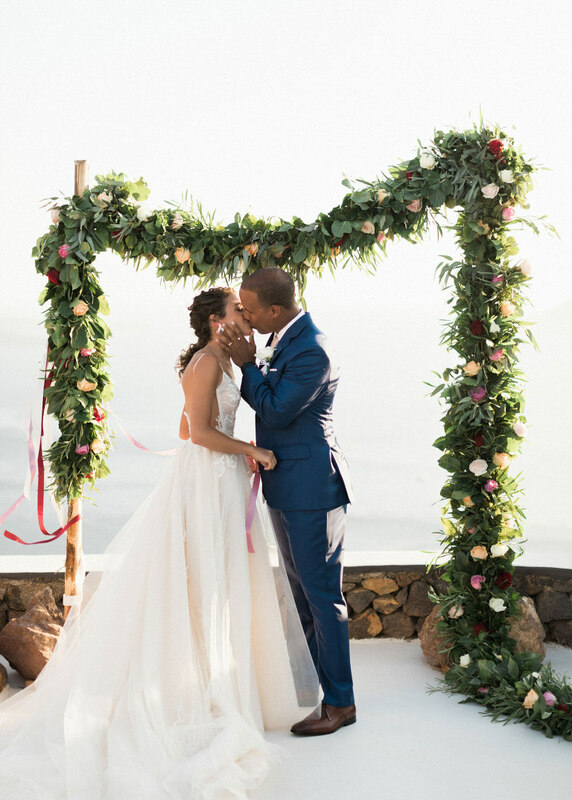 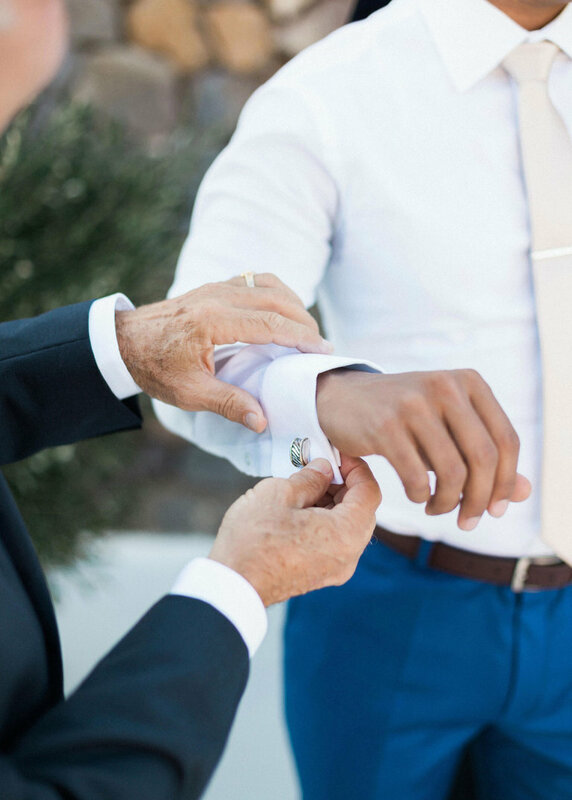 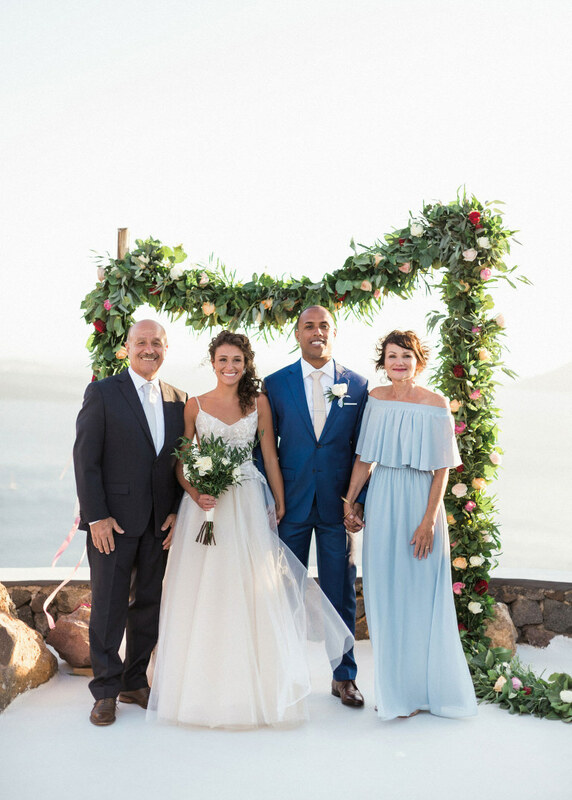 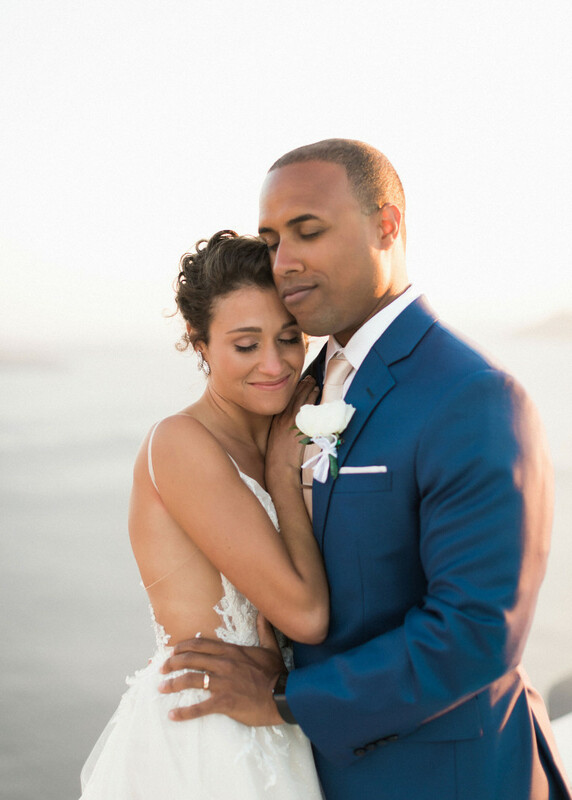 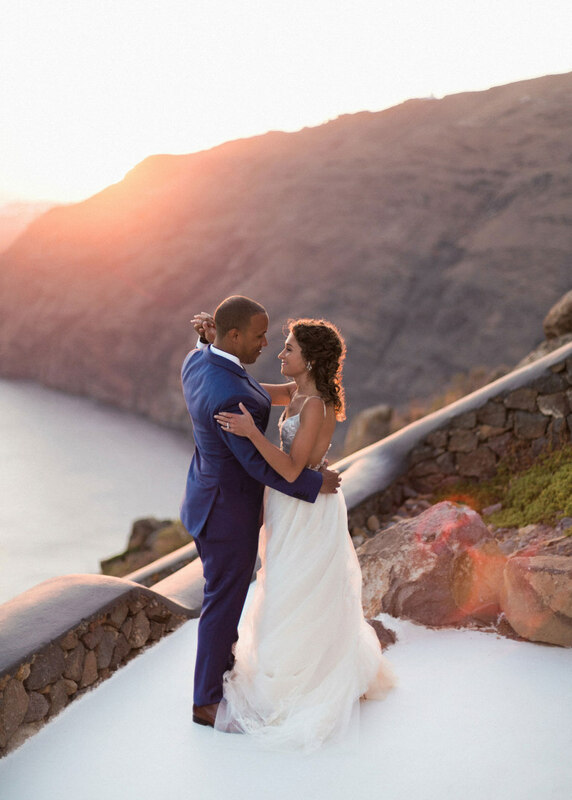 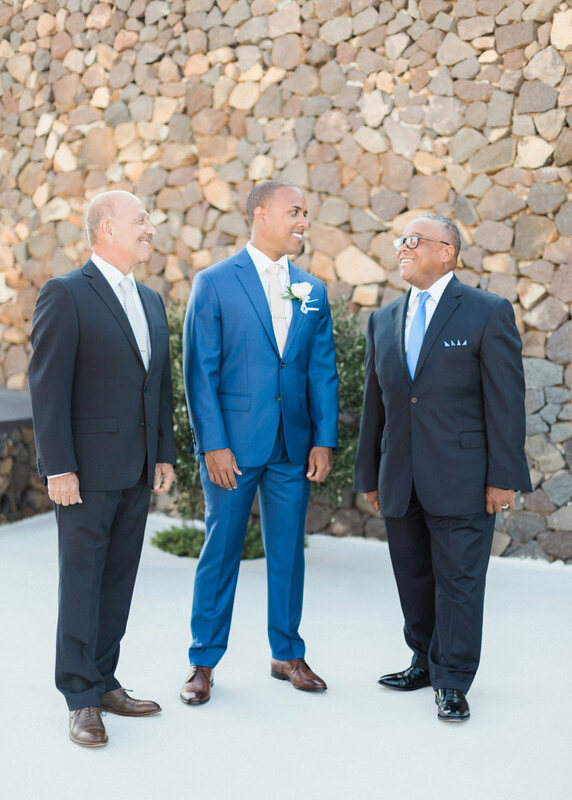 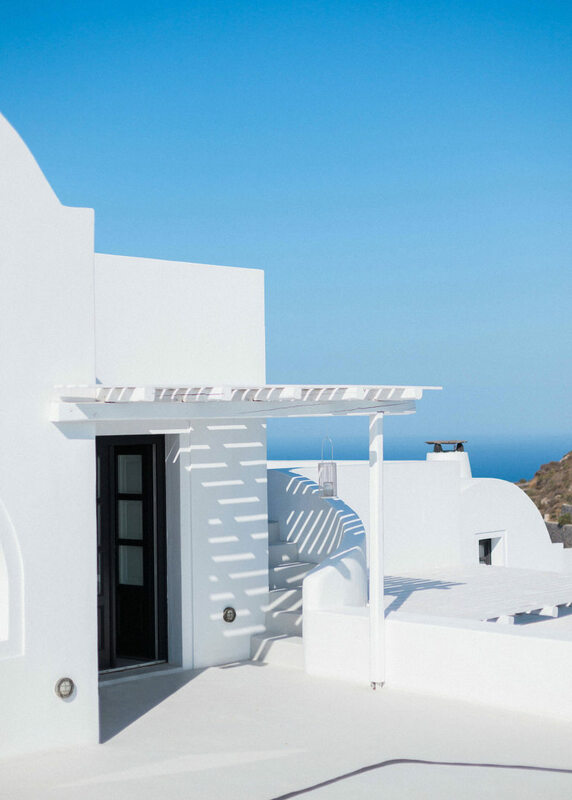 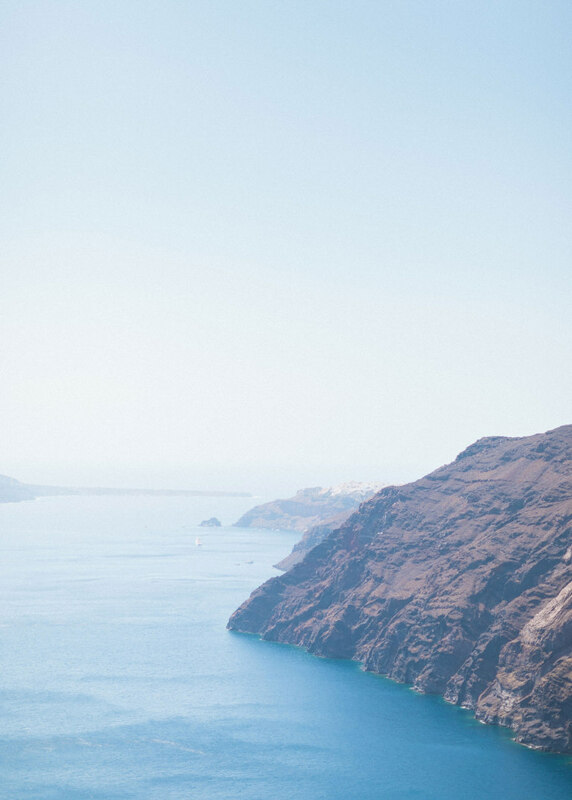 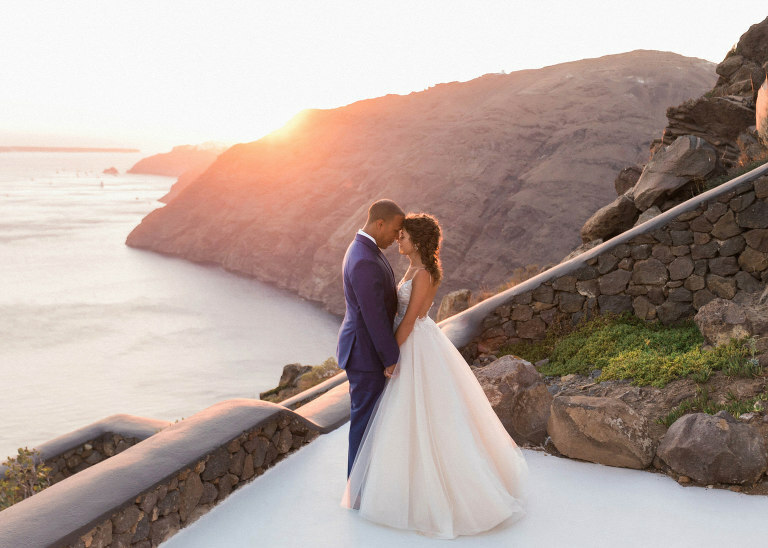 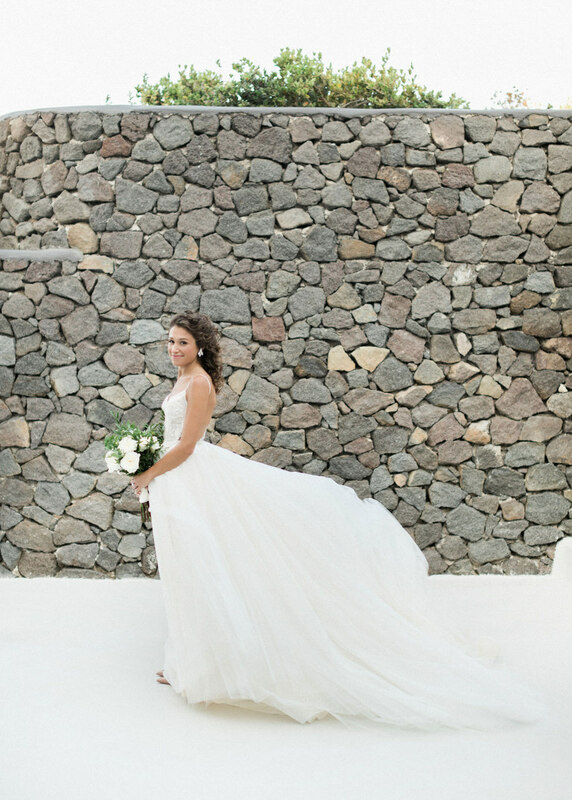 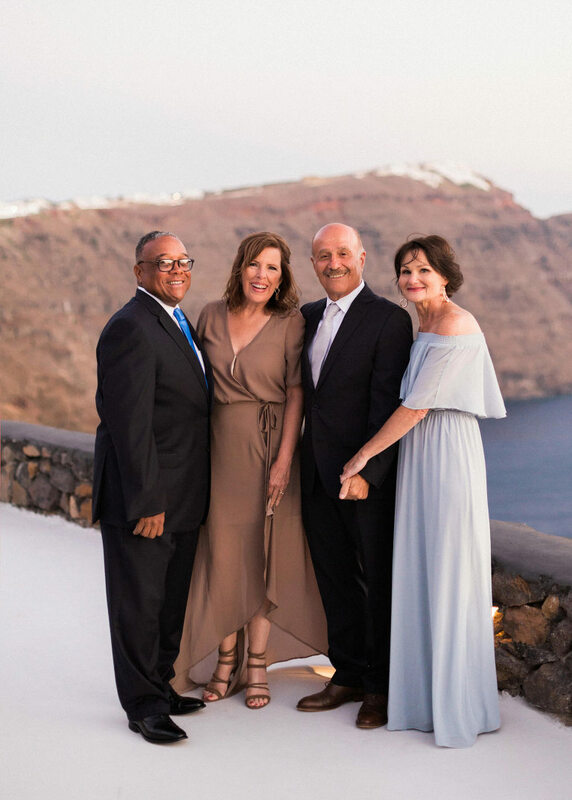 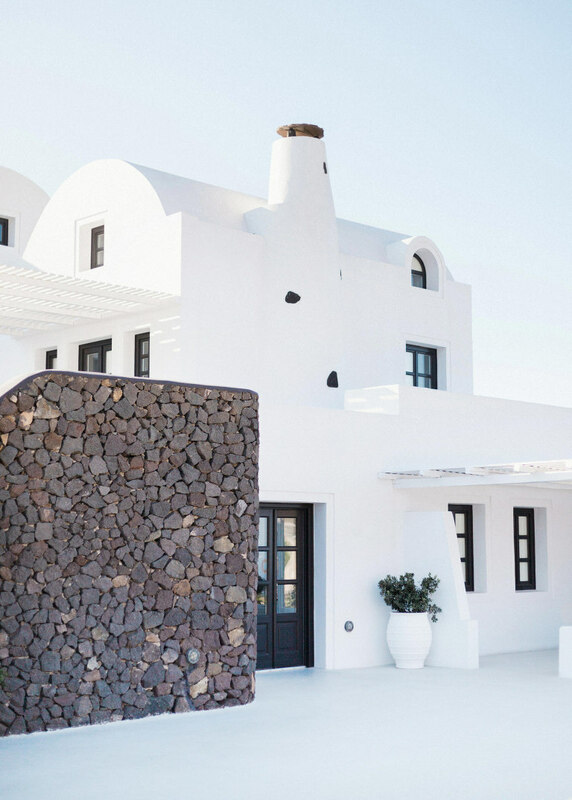 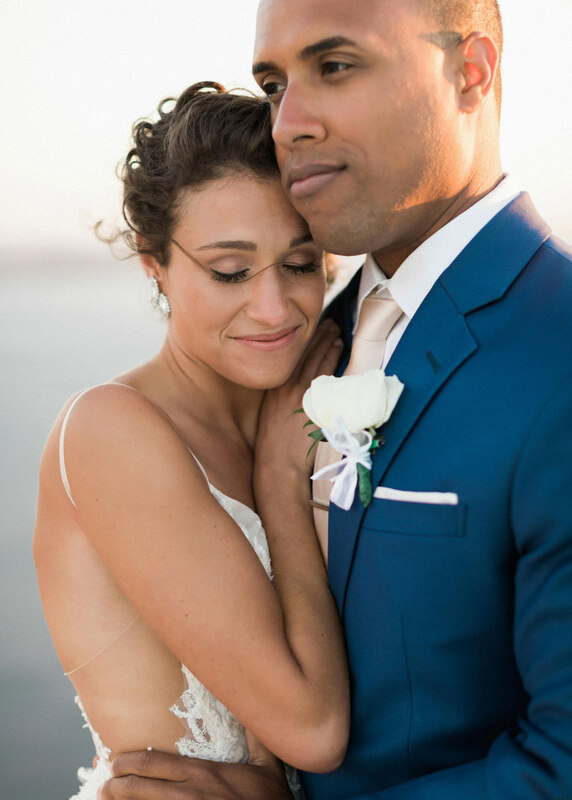 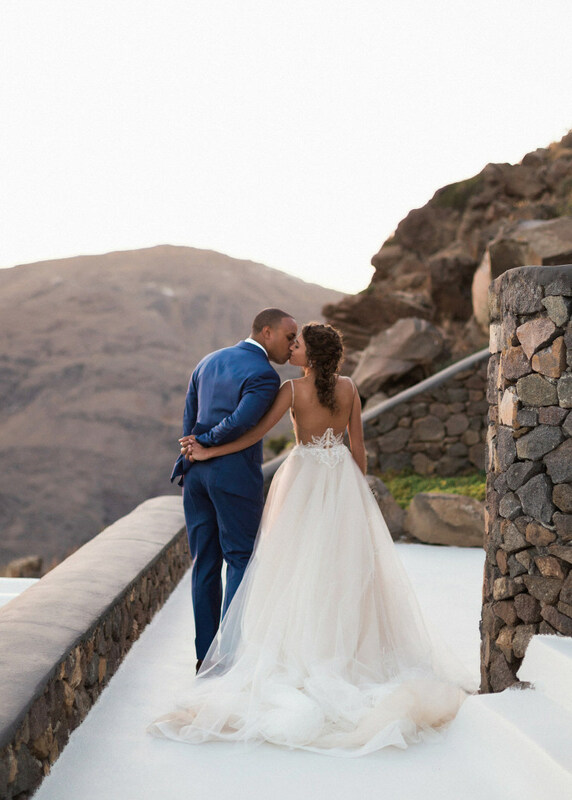 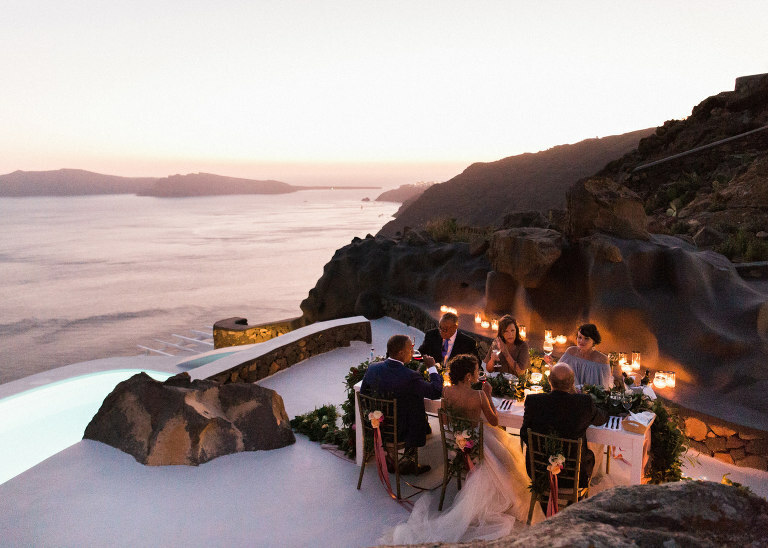 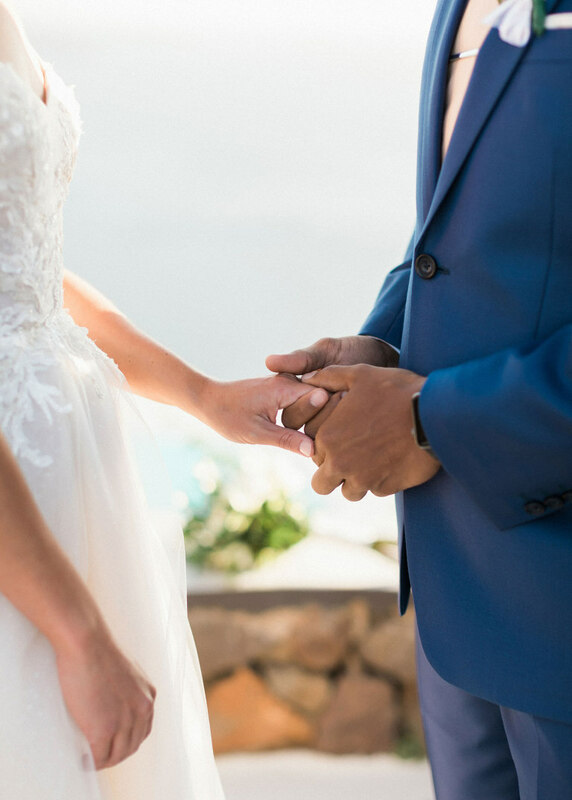 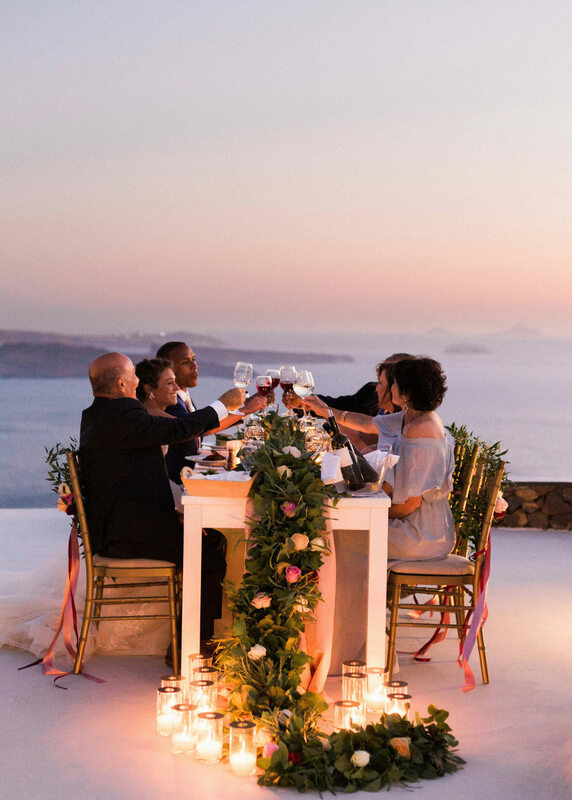 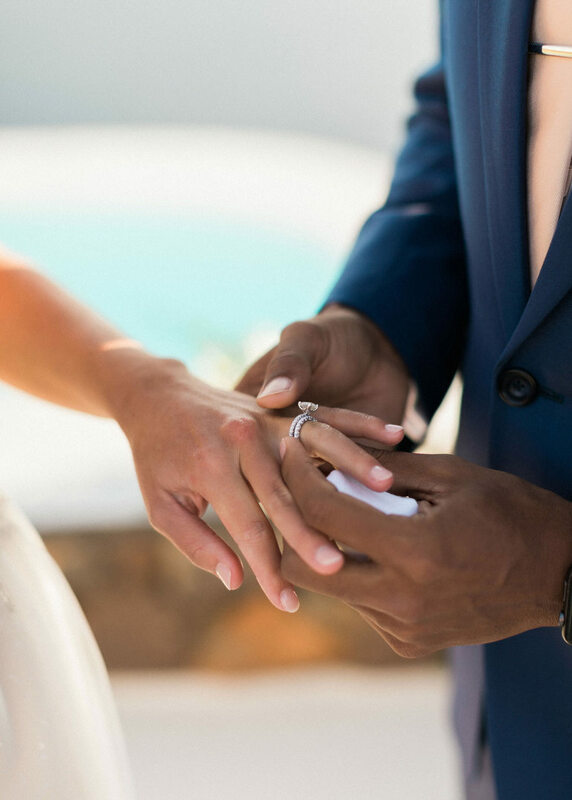 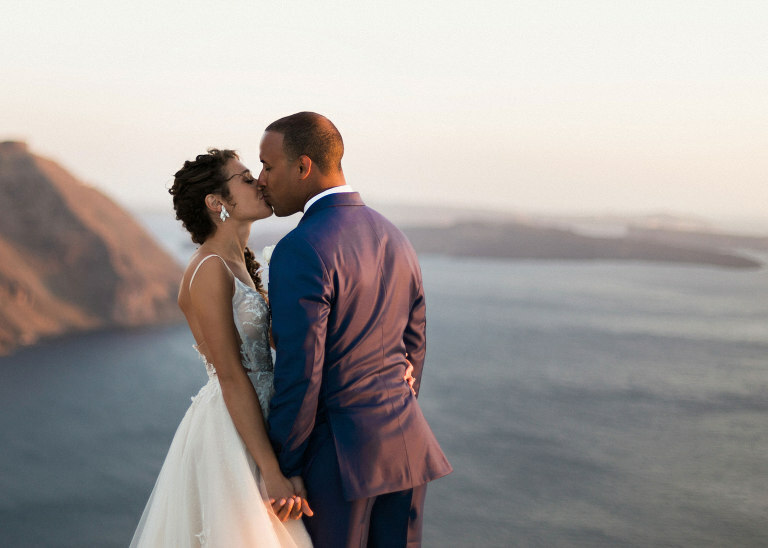 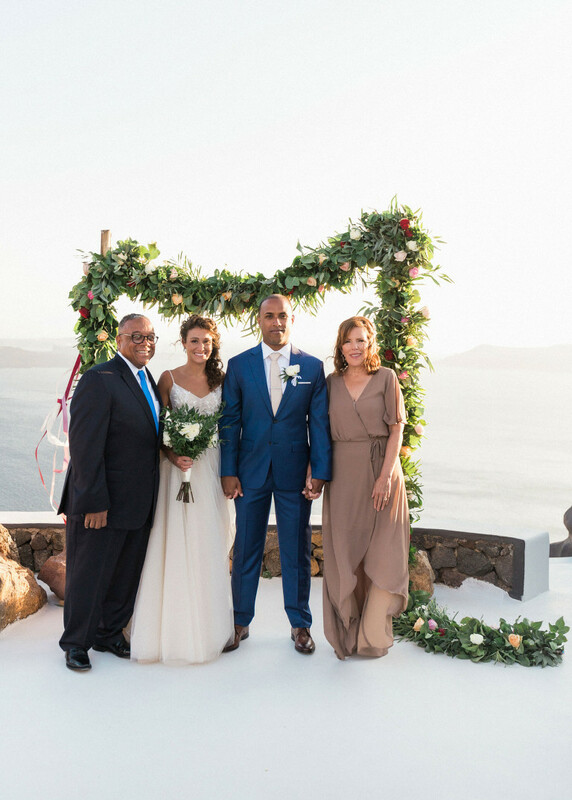 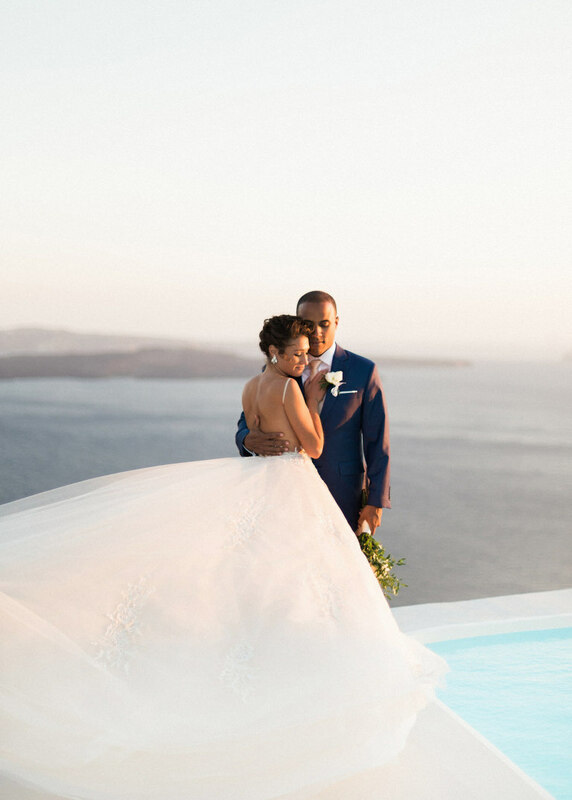 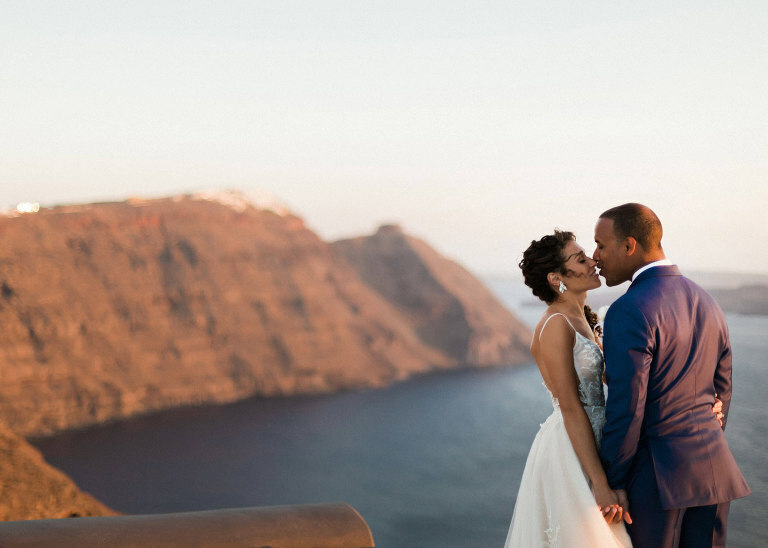 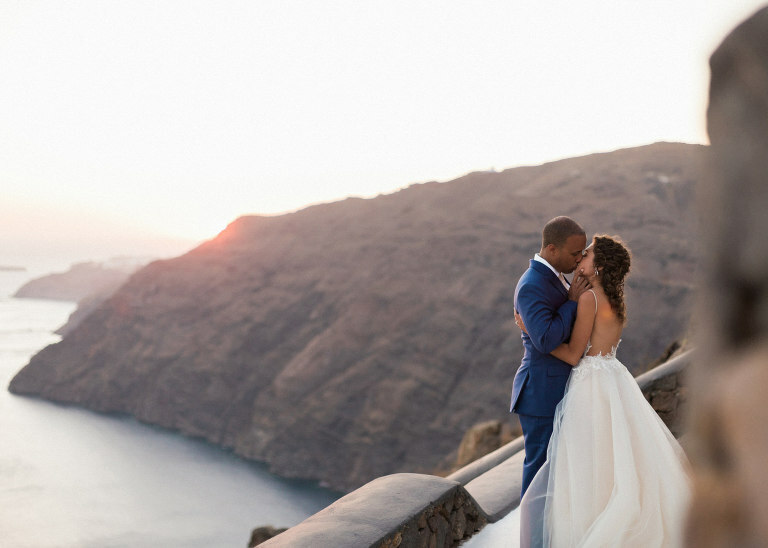 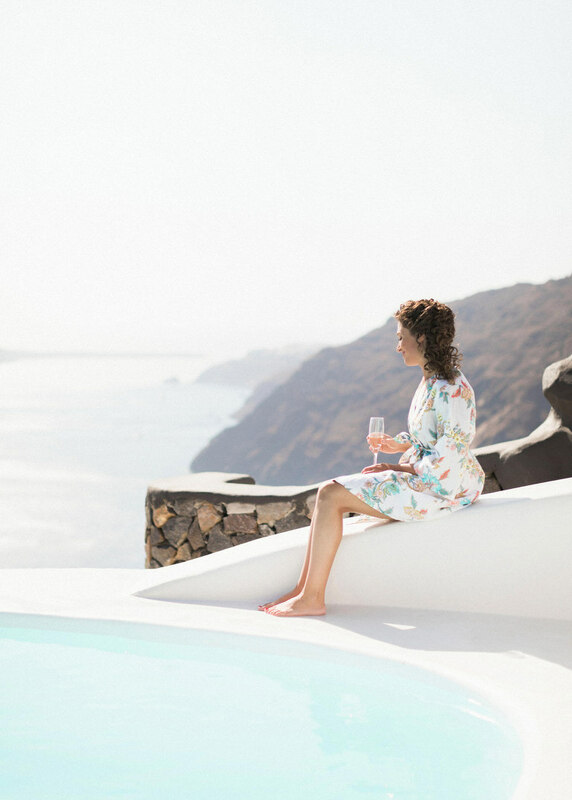 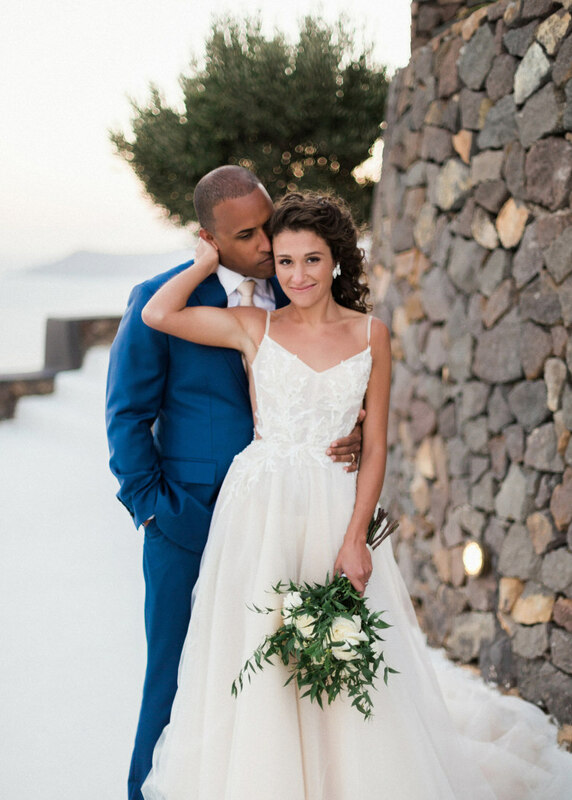 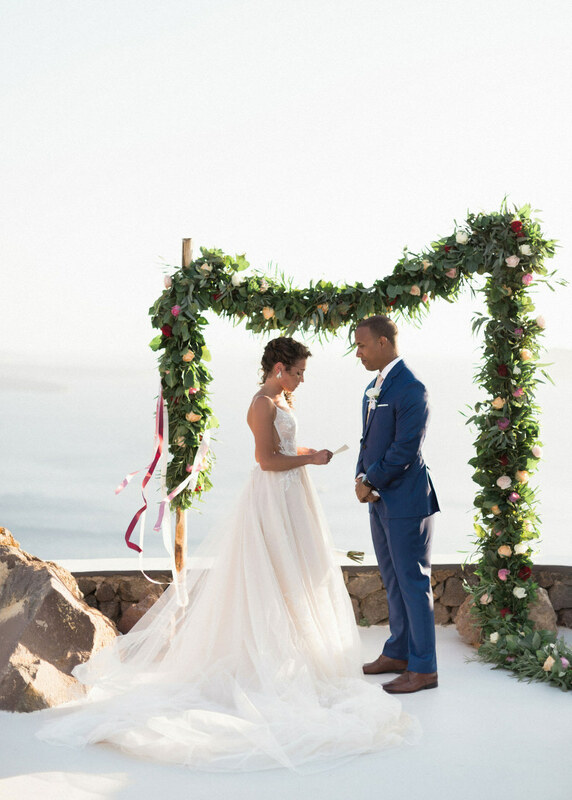 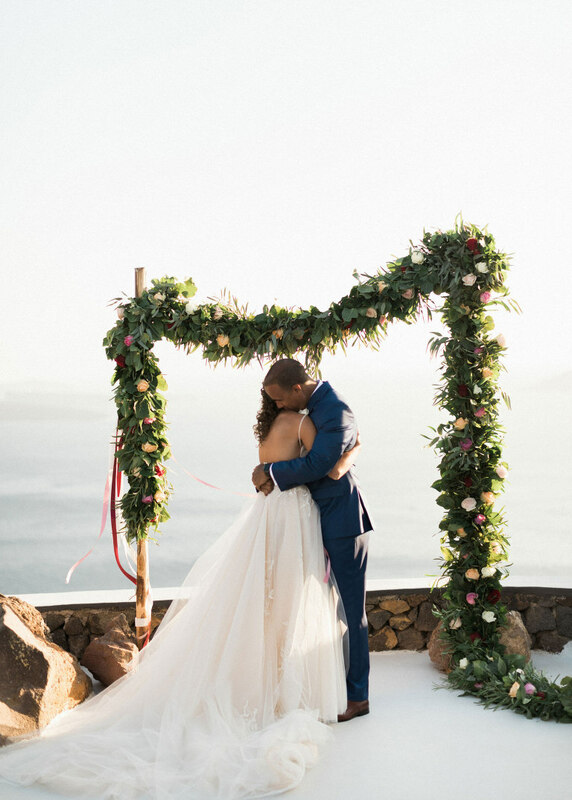 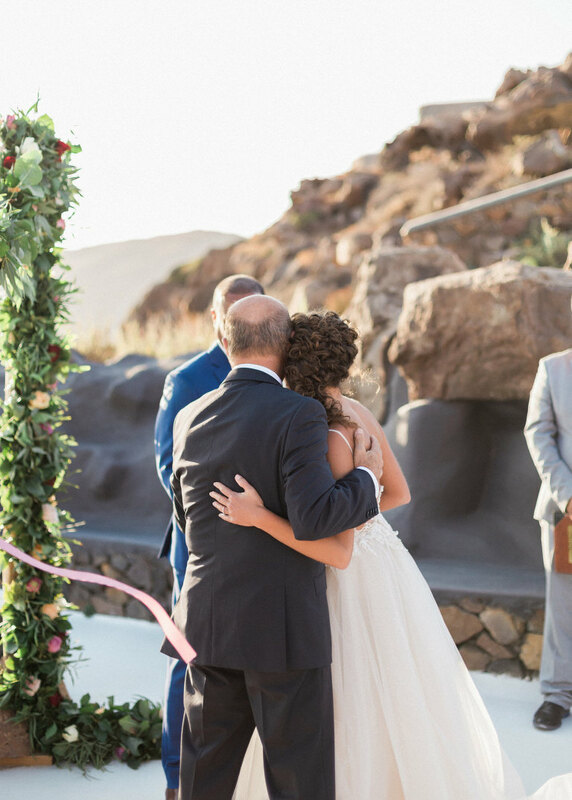 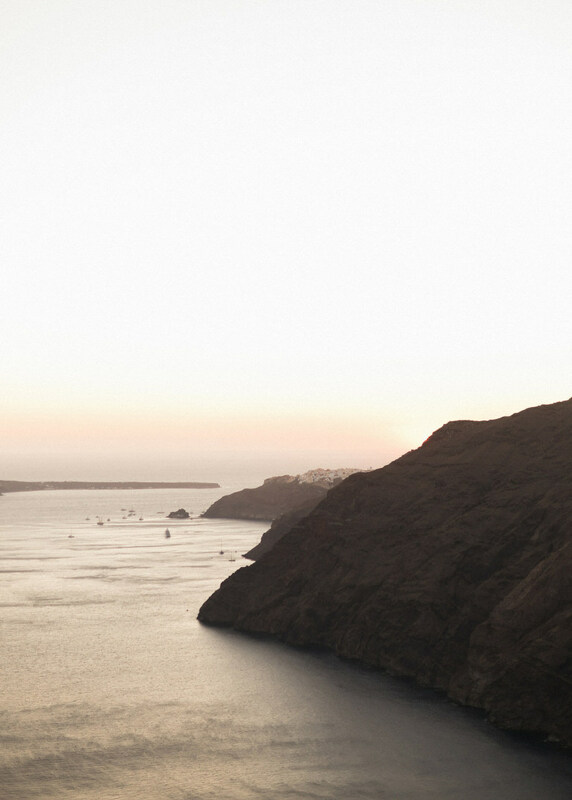 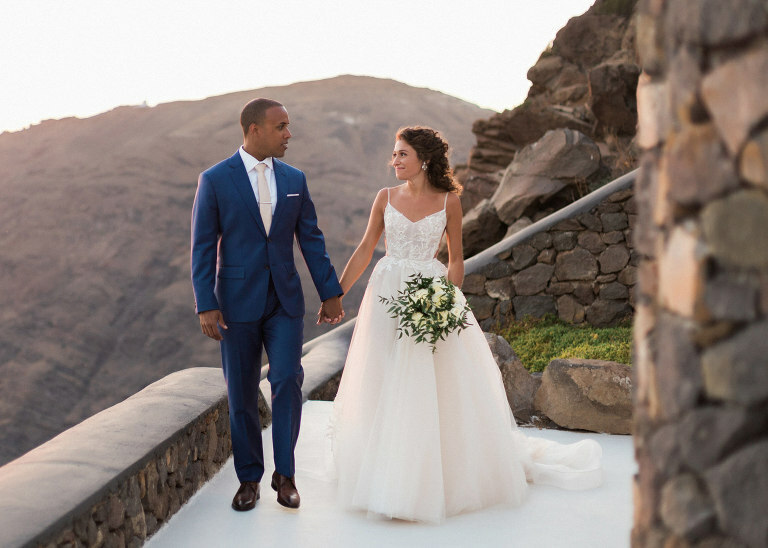 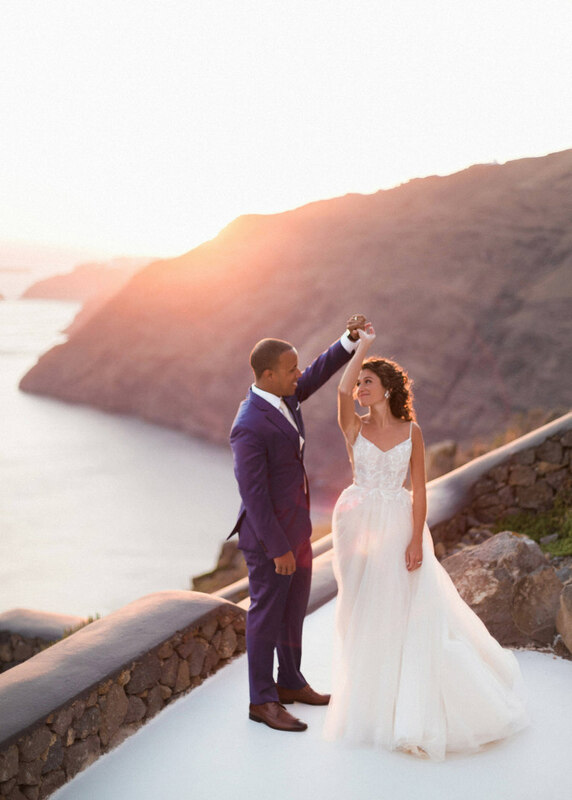 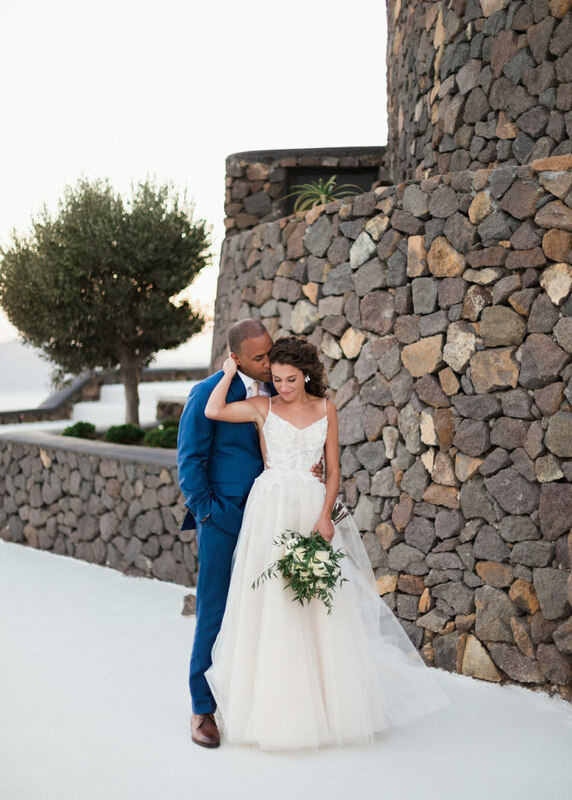 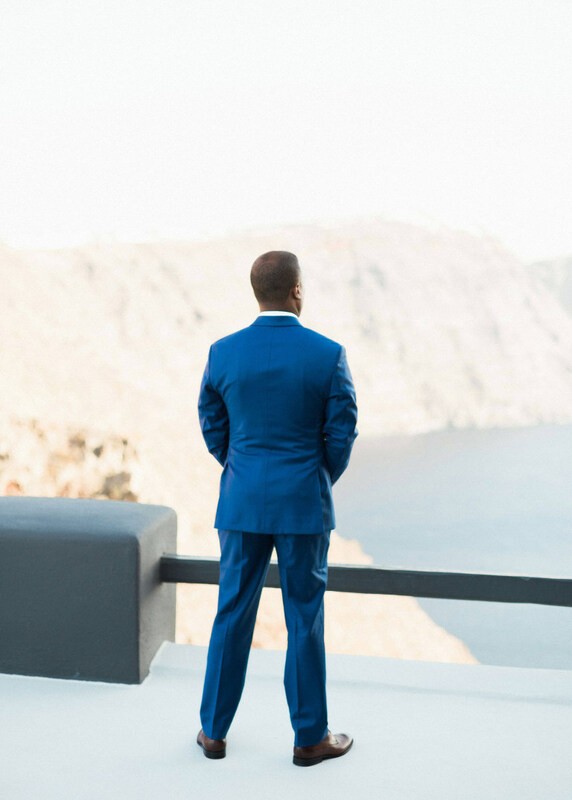 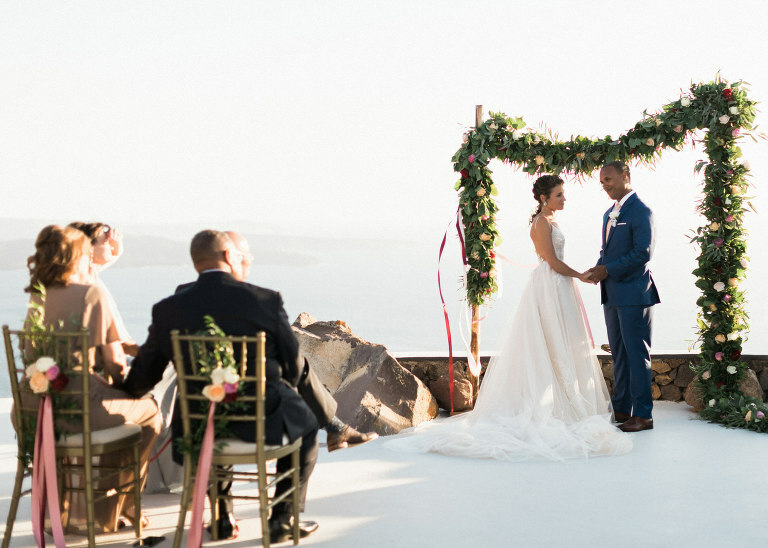 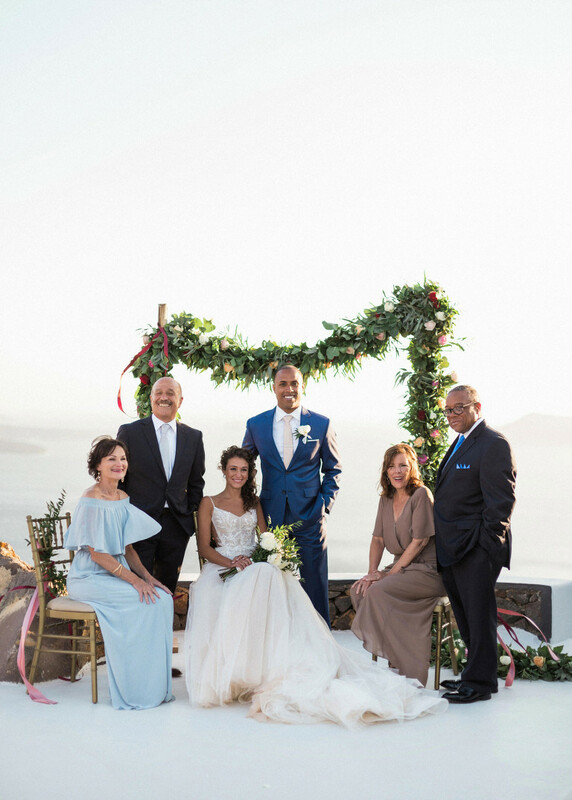 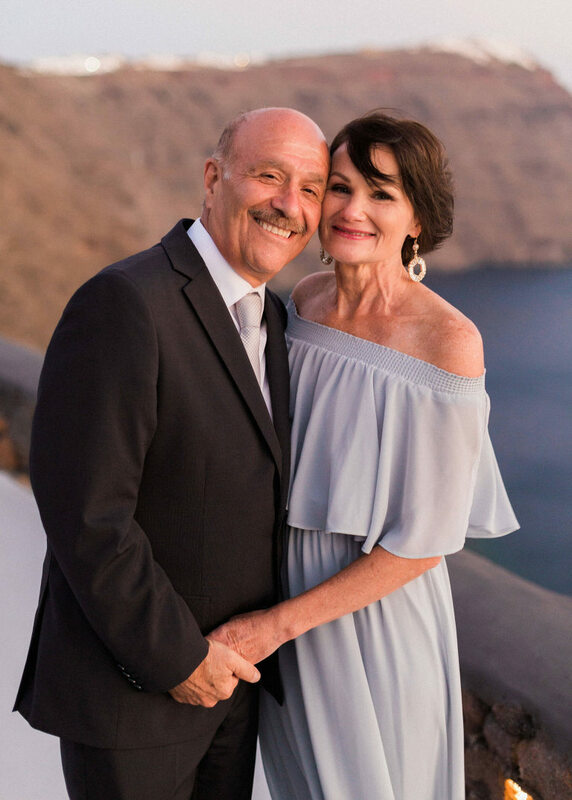 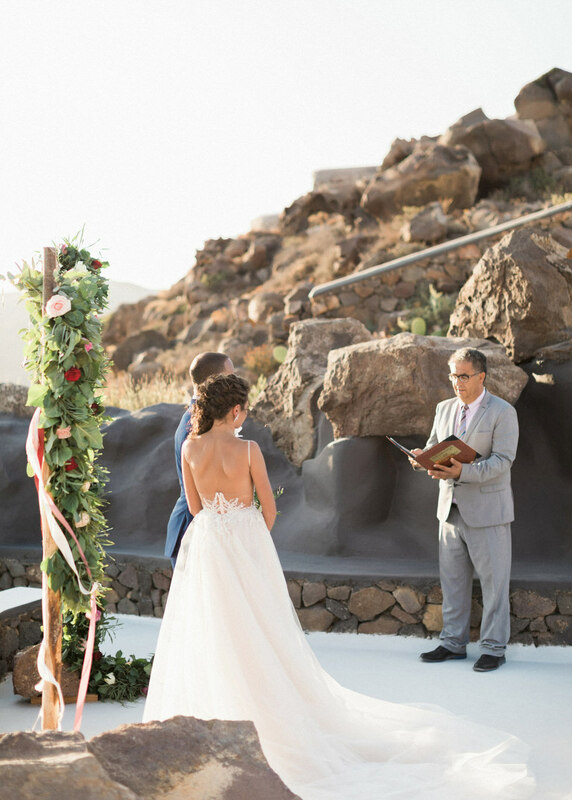 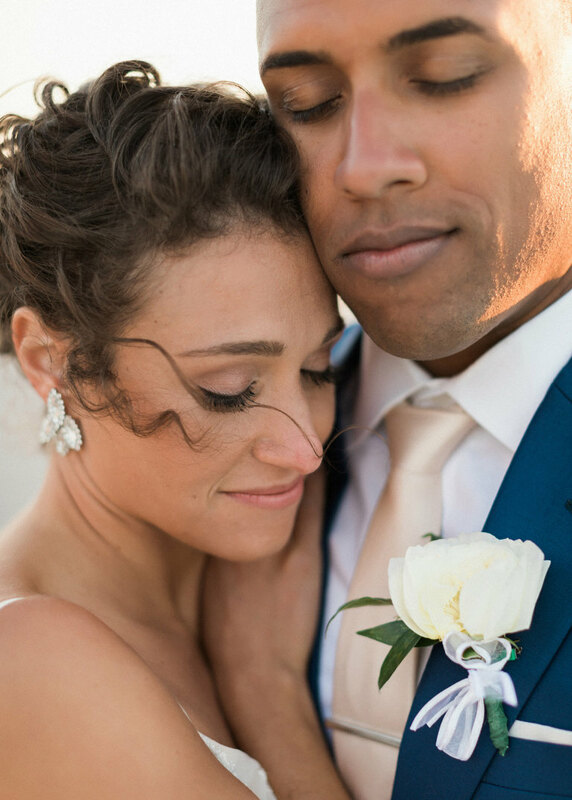 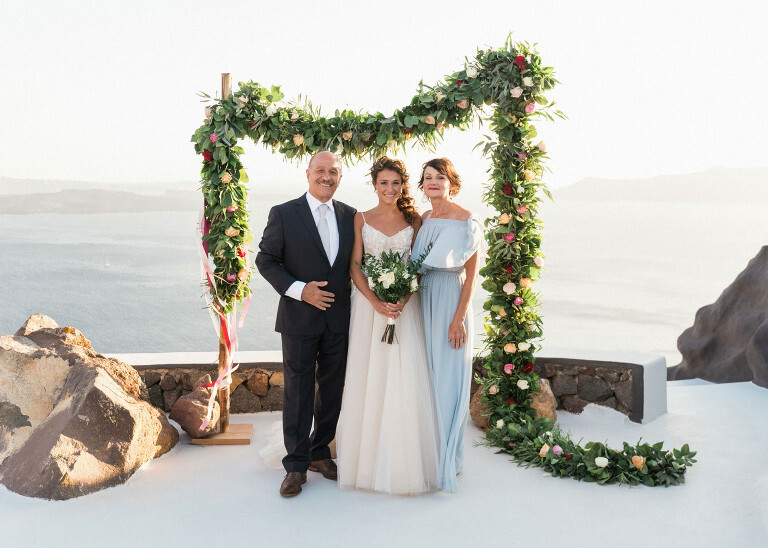 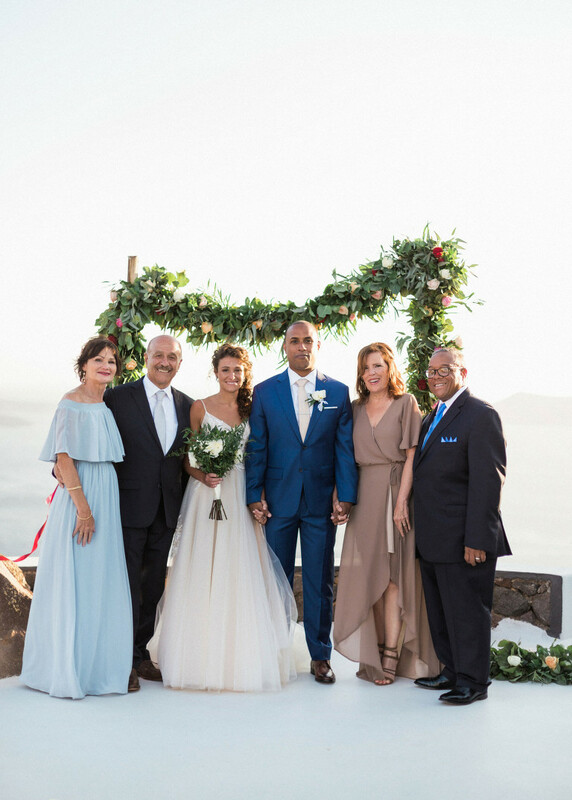 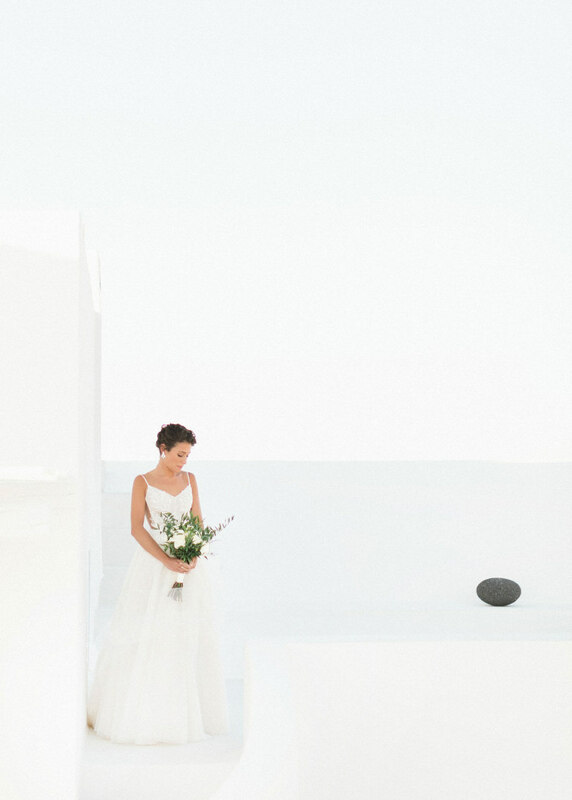 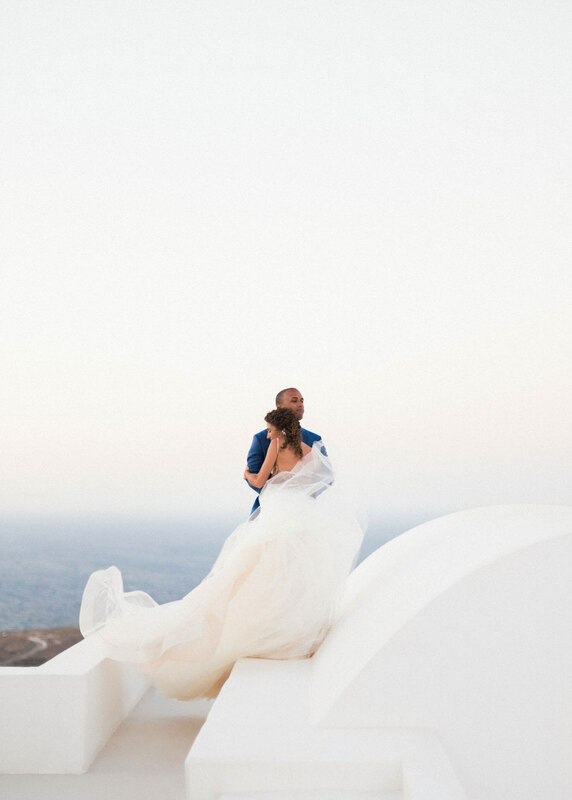 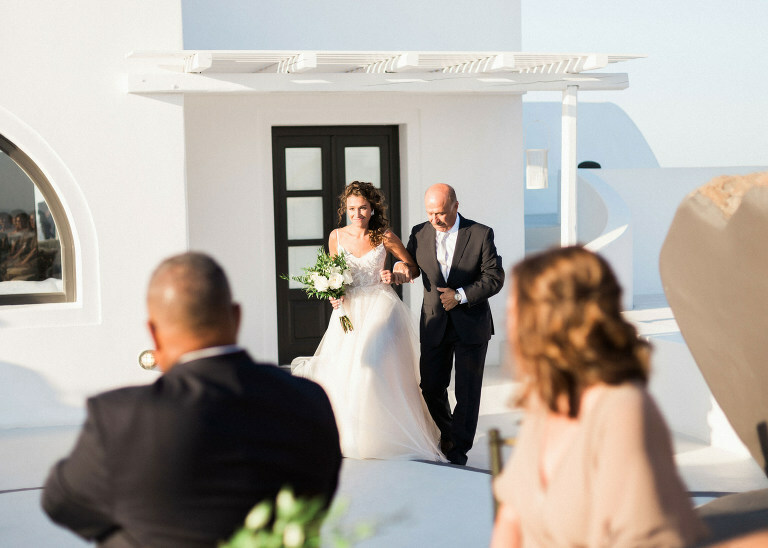 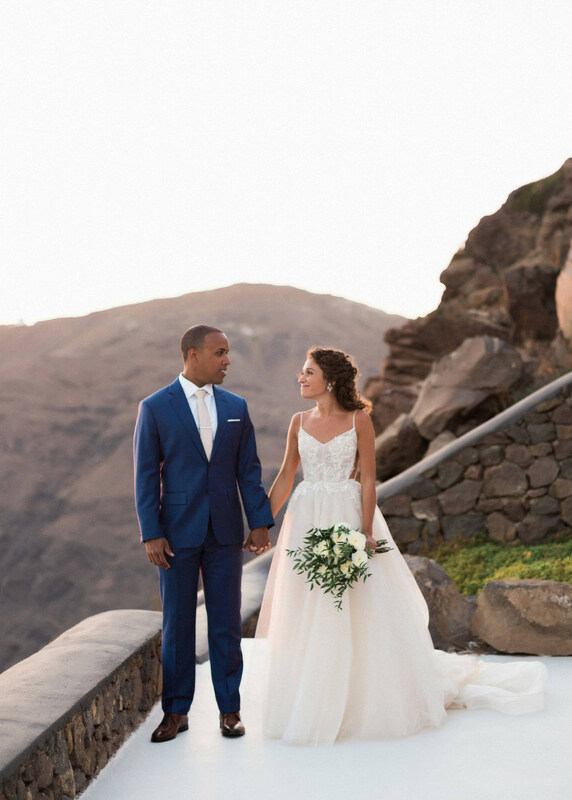 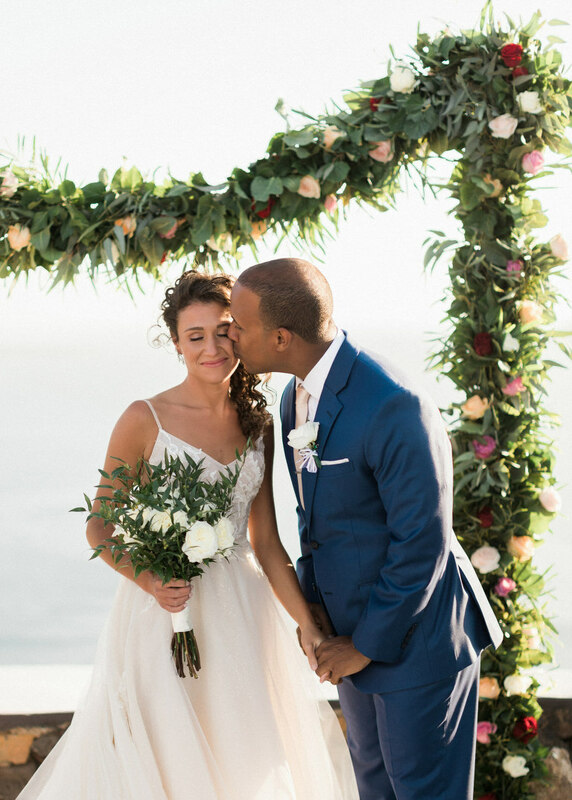 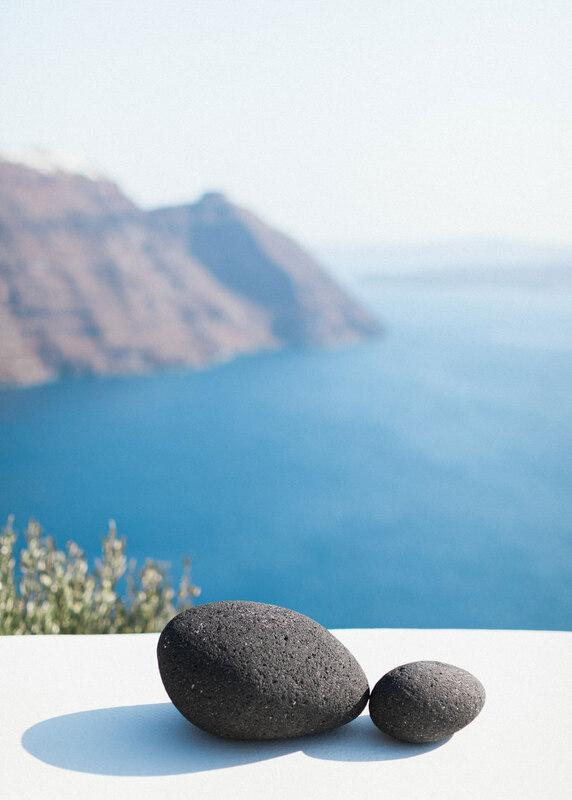 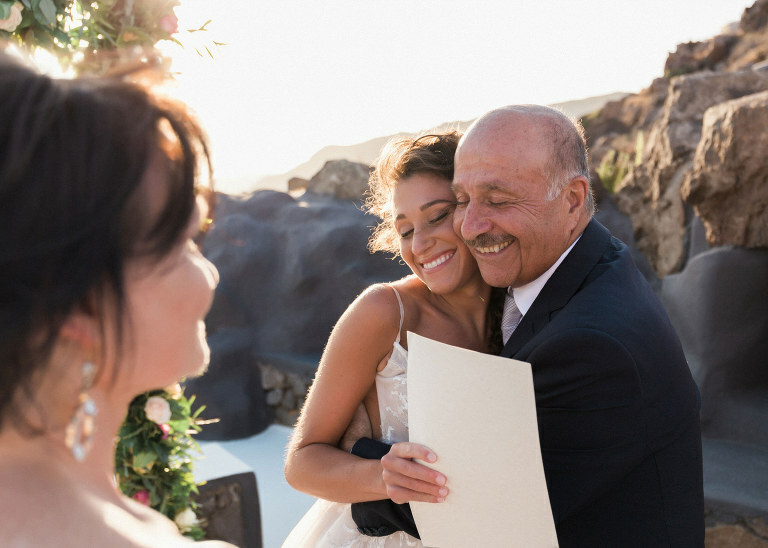 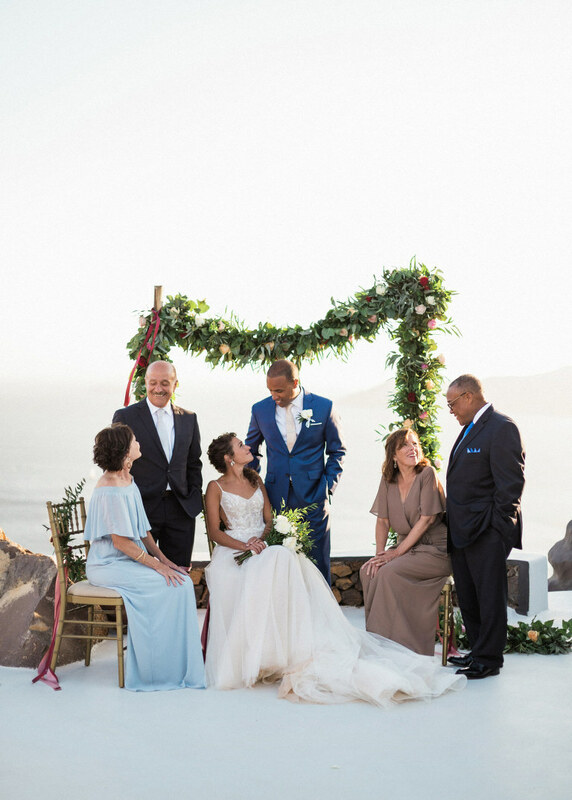 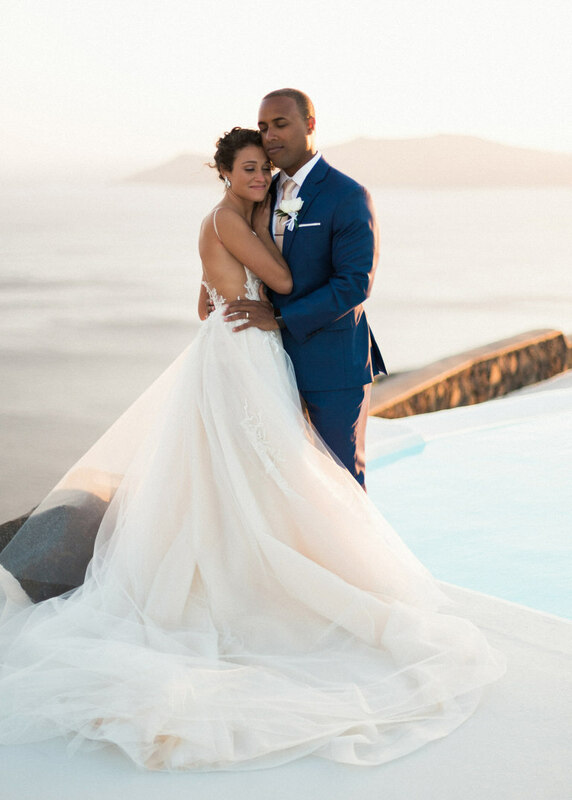 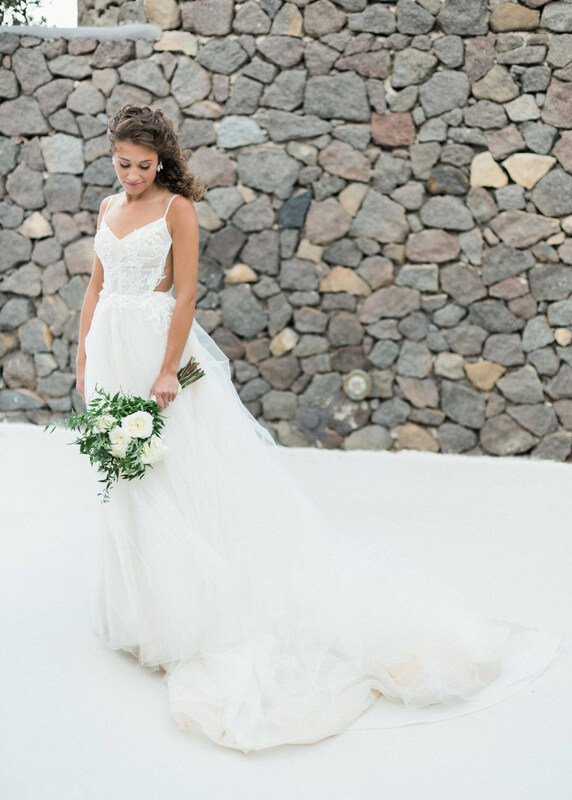 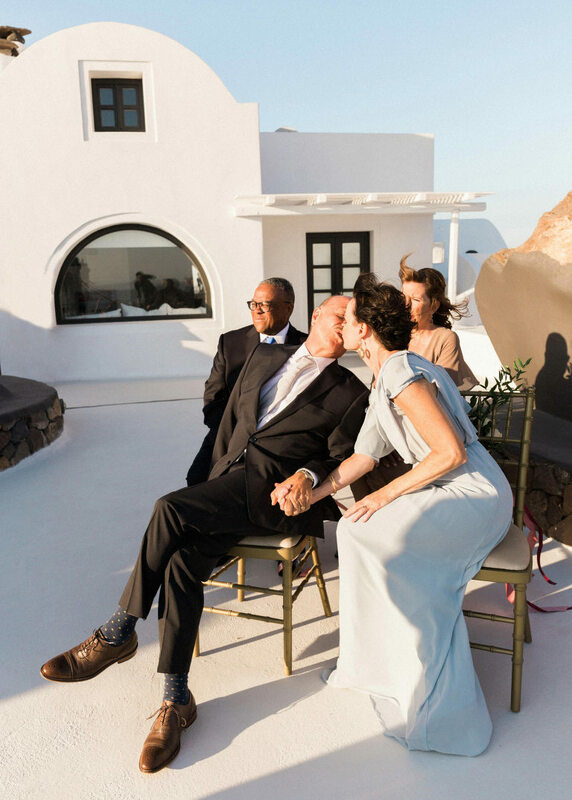 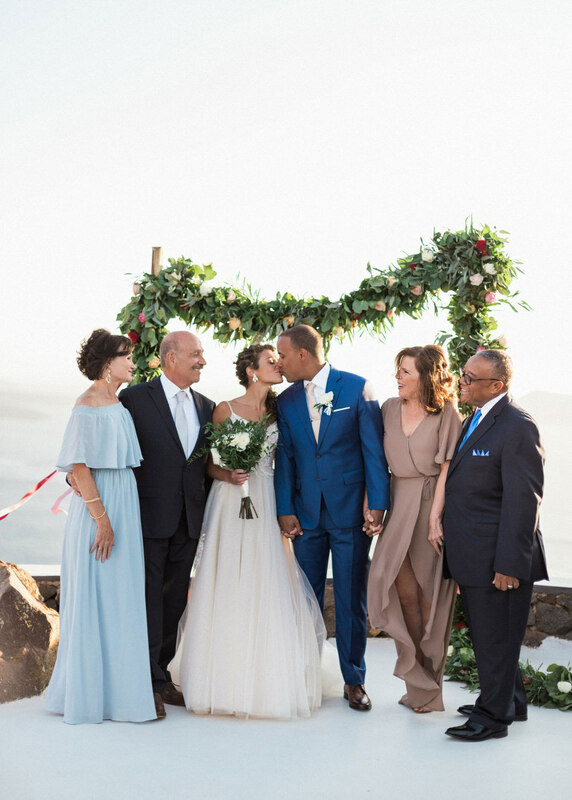 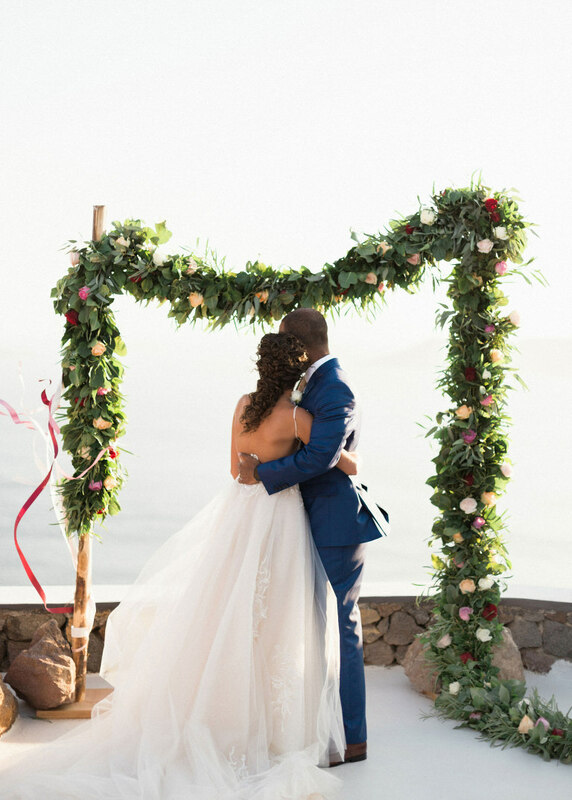 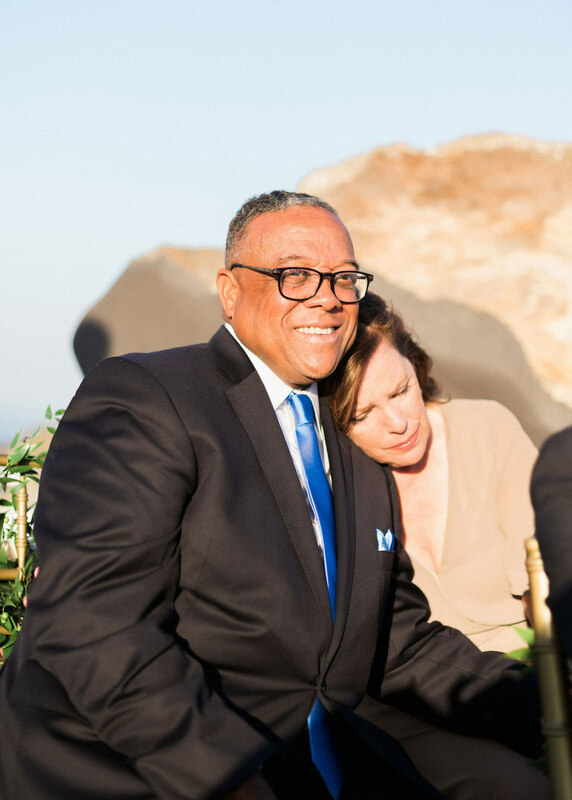 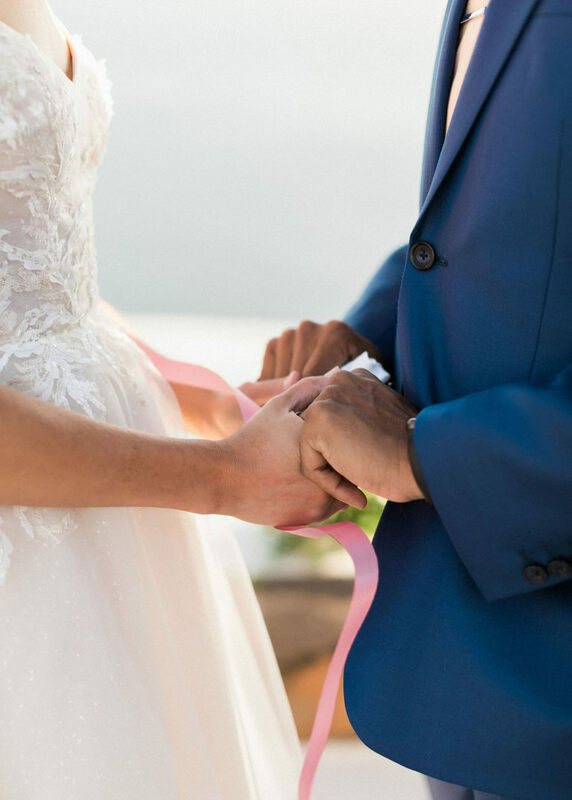 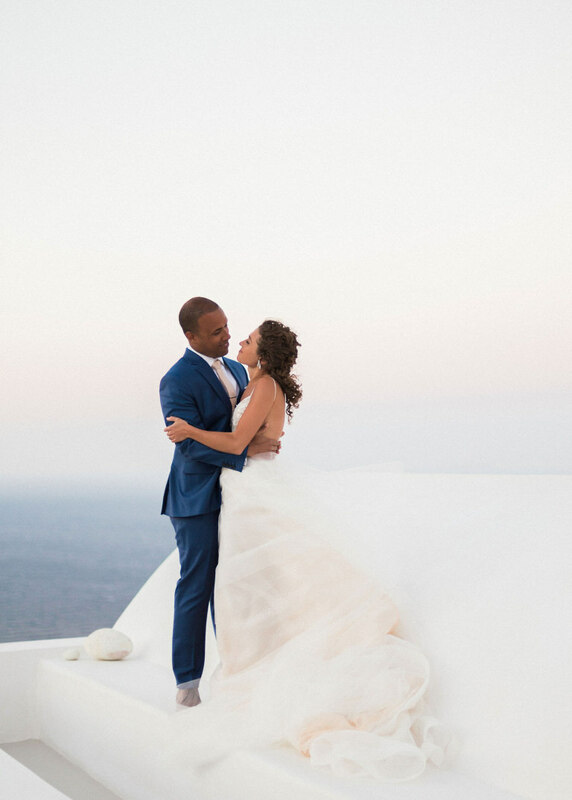 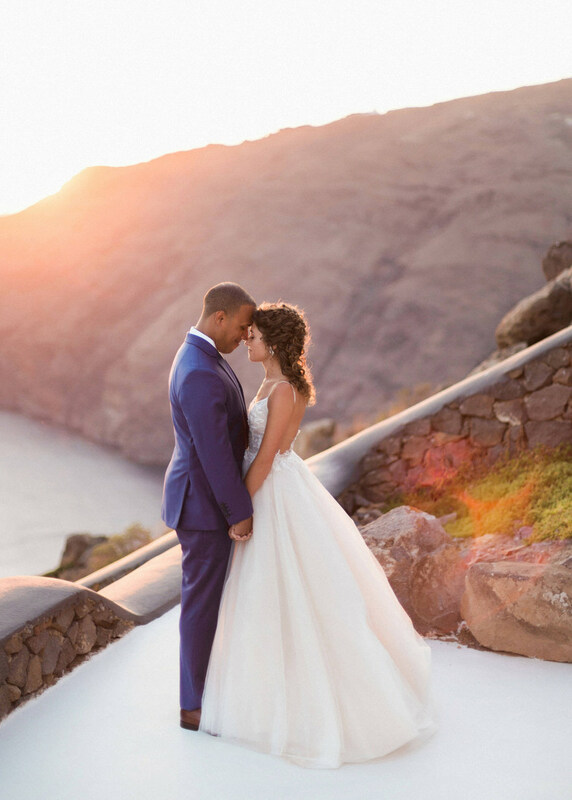 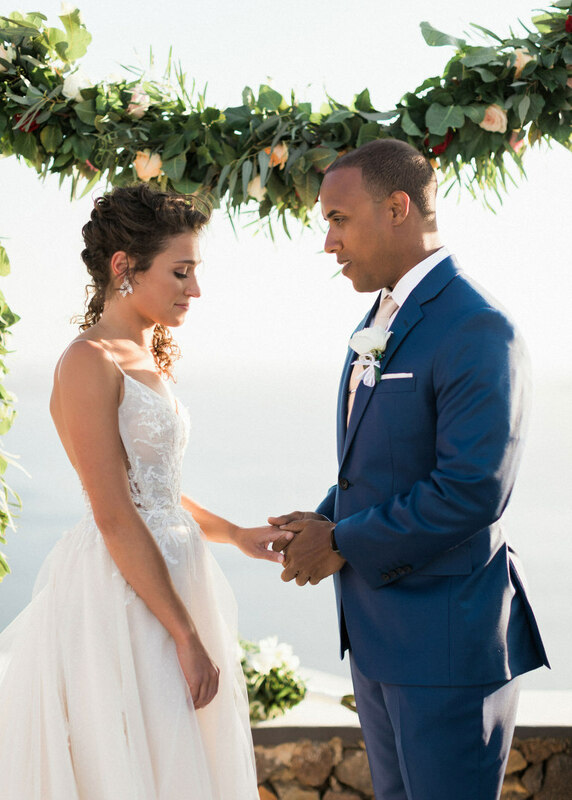 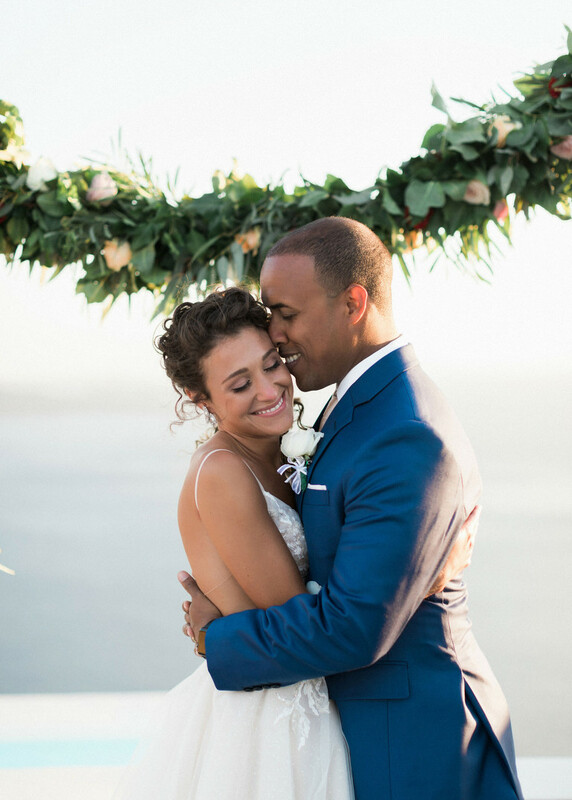 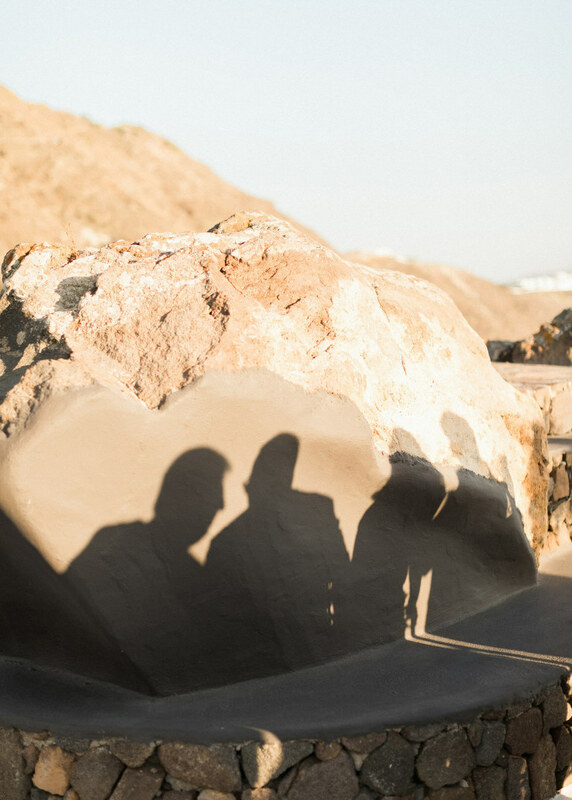 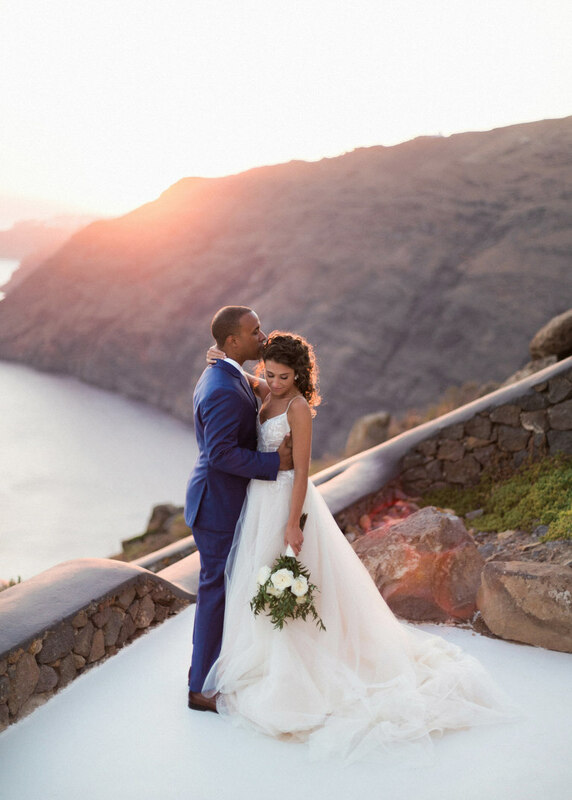 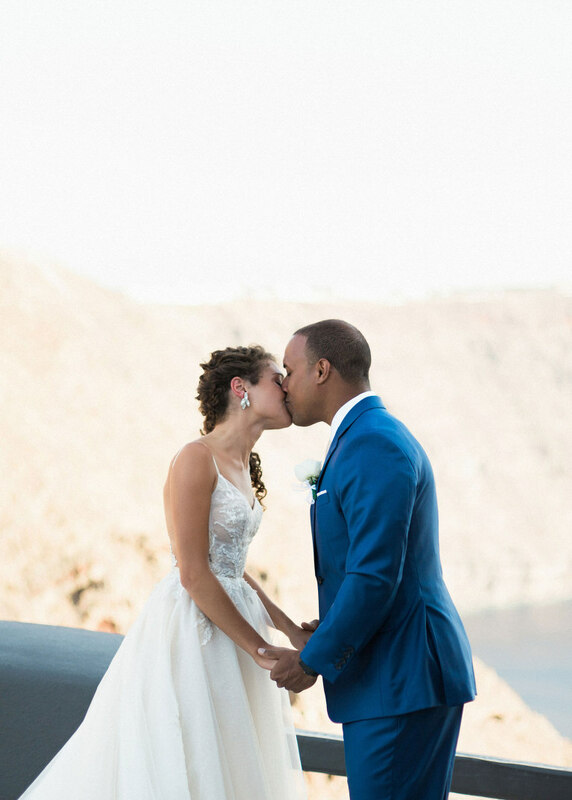 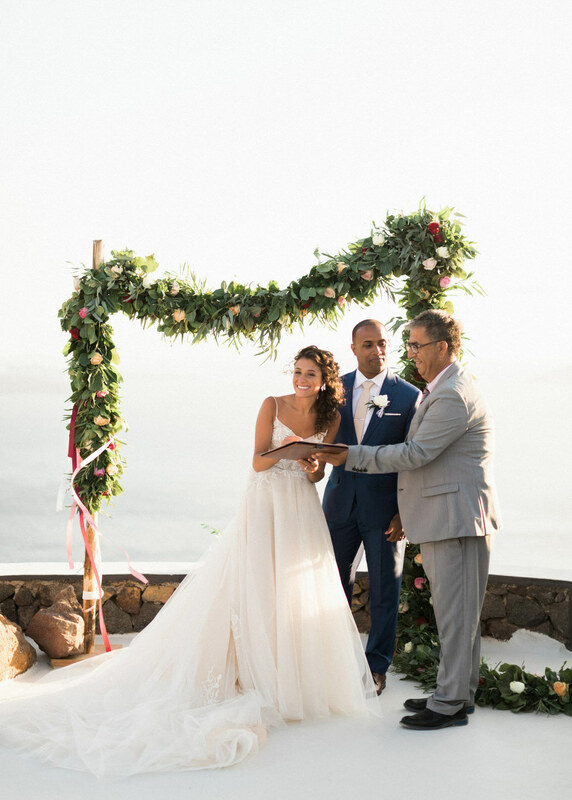 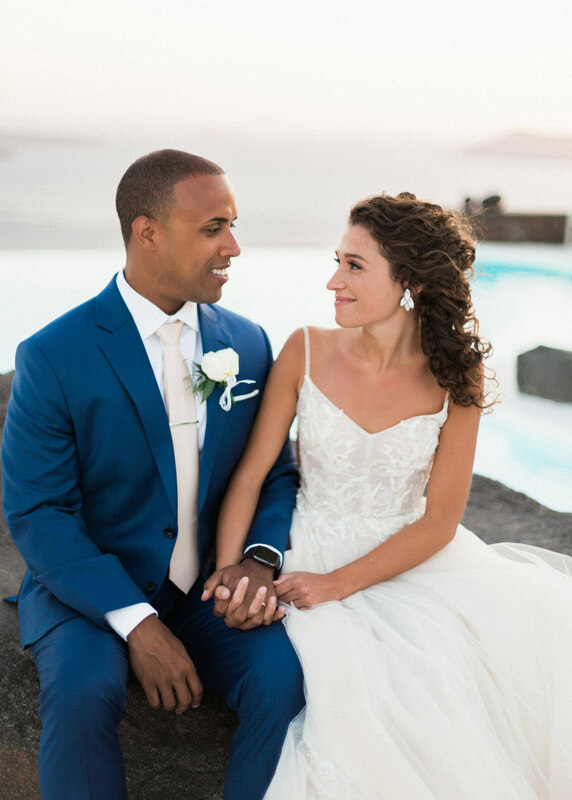 Samira and Justin’s stunning getaway wedding in Santorini was not only about jetting off to their favourite destination, but sharing a once-in-a-lifetime moment with their parents! 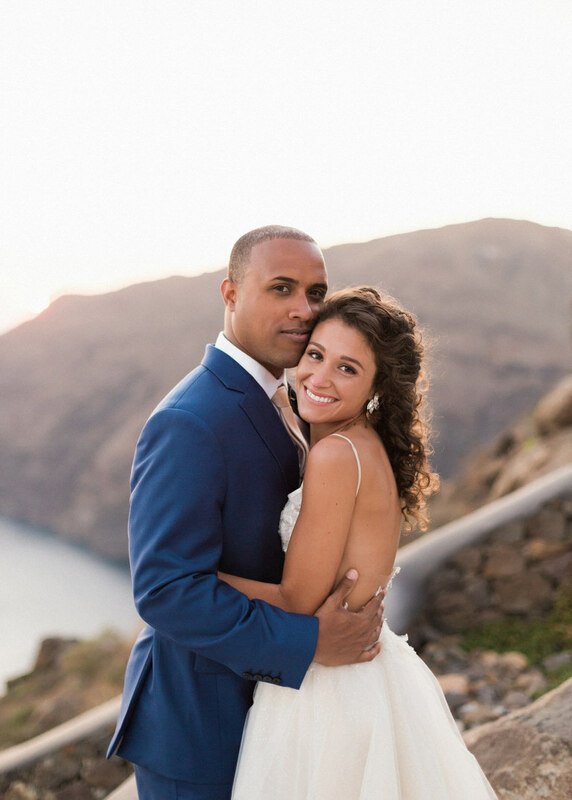 There was some serious exploring around the blue-capped whitewashed villages that hang like a string of pearls above the caldera, endless soaking up the most amazing crimson sunsets, sailboat cruising, hard love, and bonding for this beautiful family, and we were just thrilled to be part of their journey! 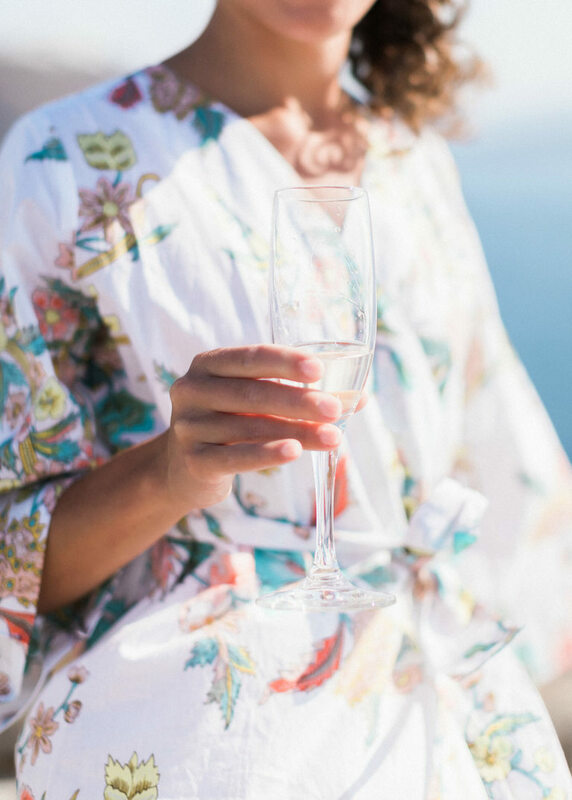 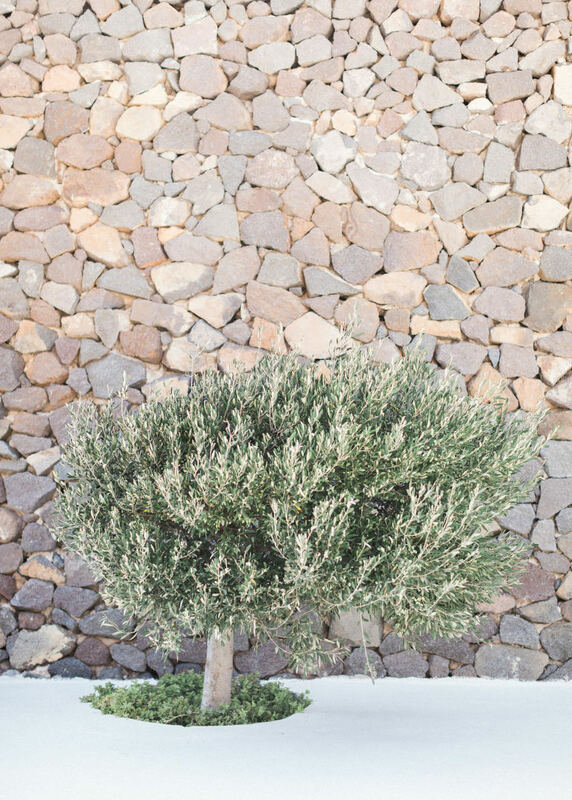 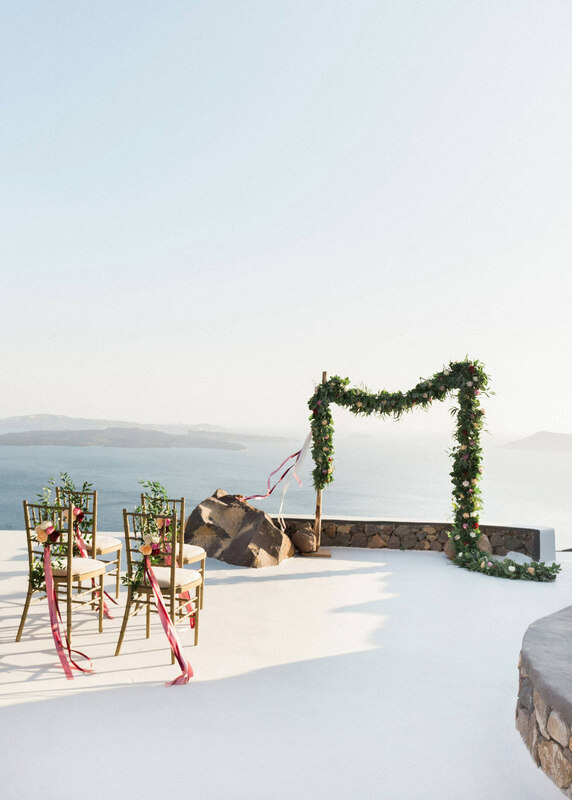 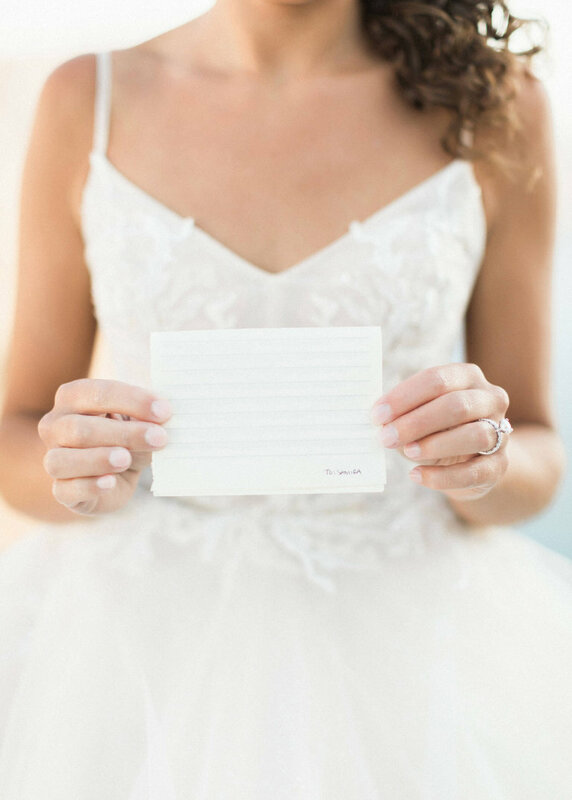 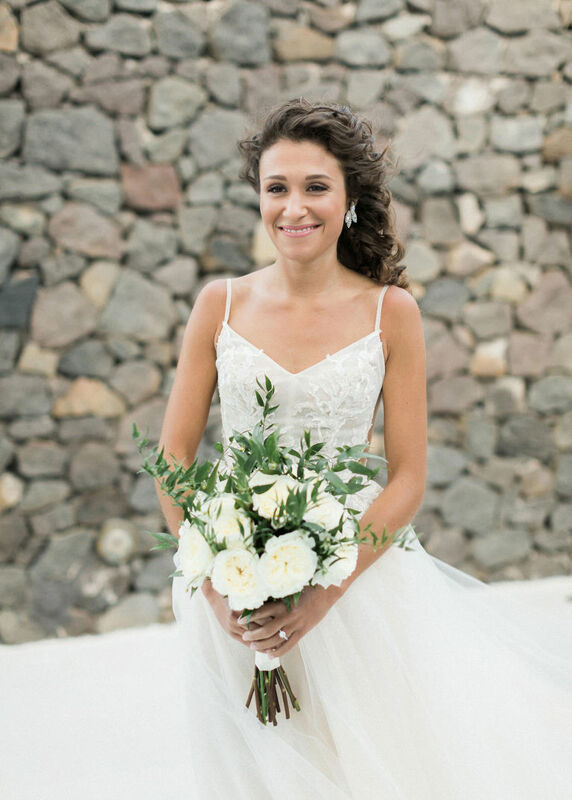 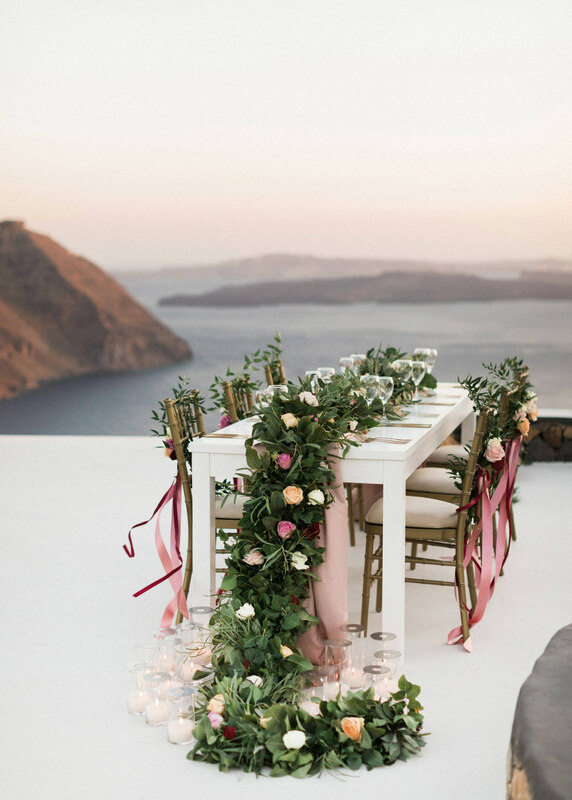 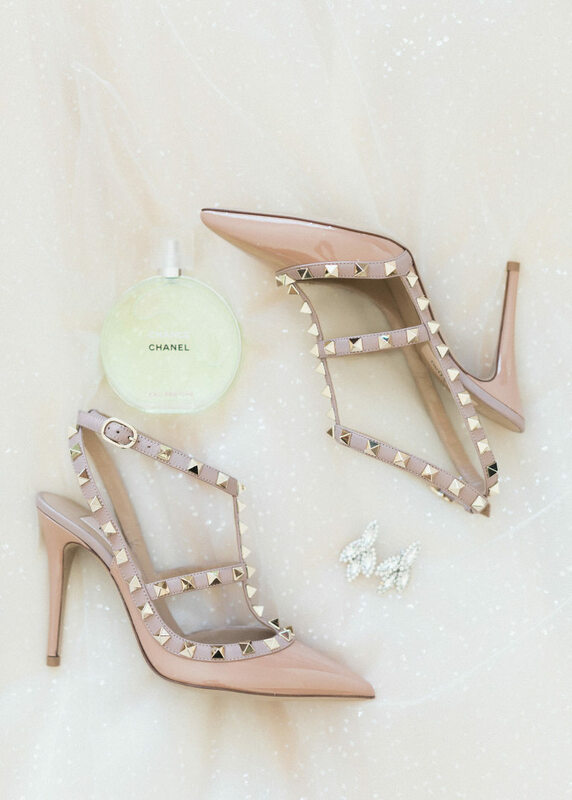 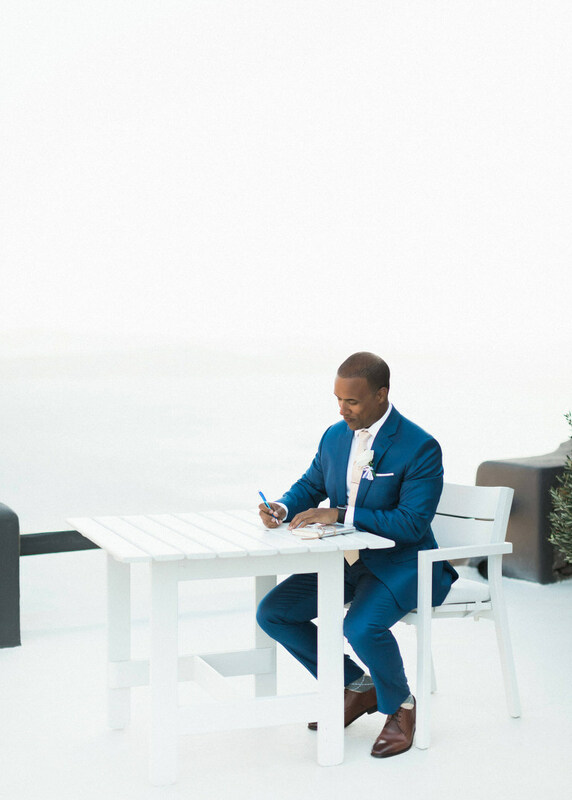 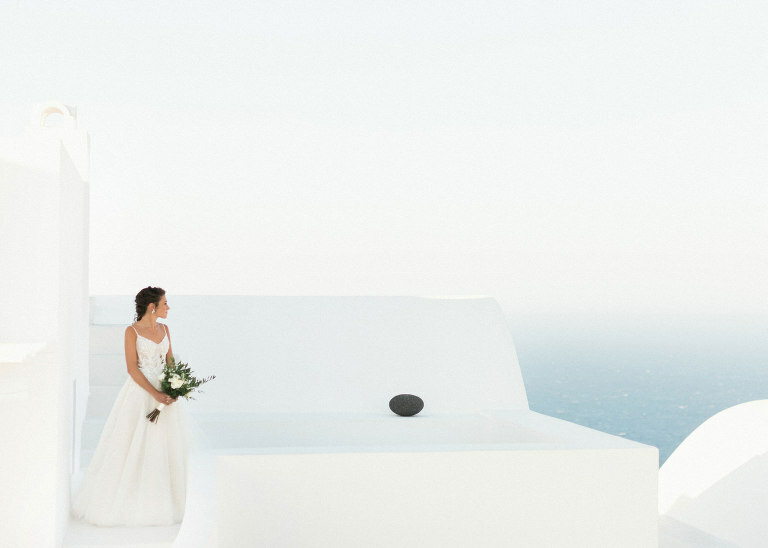 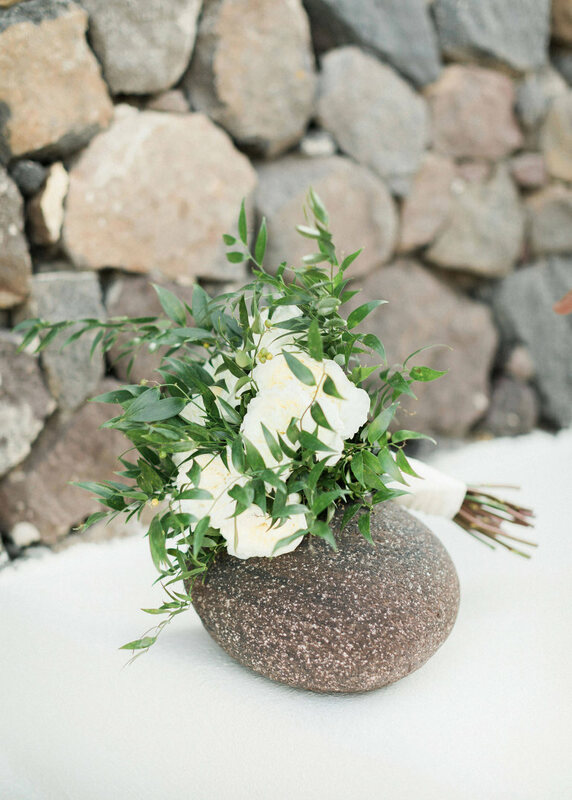 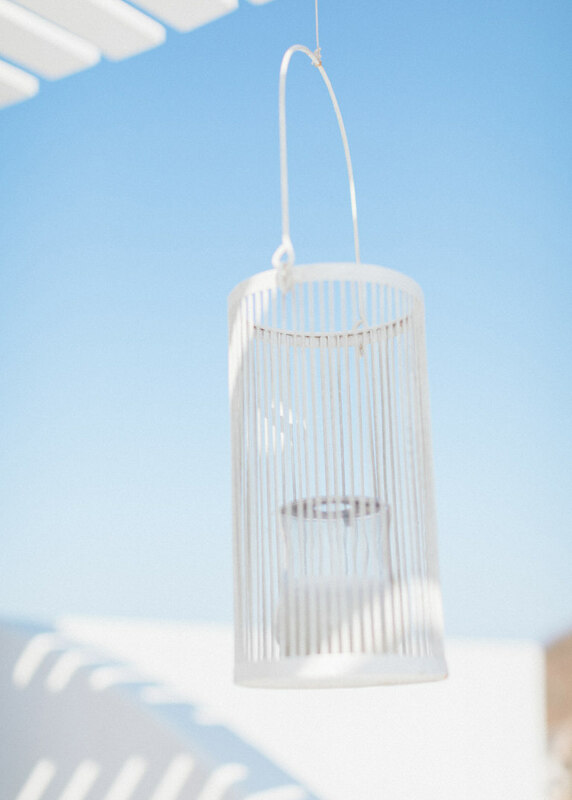 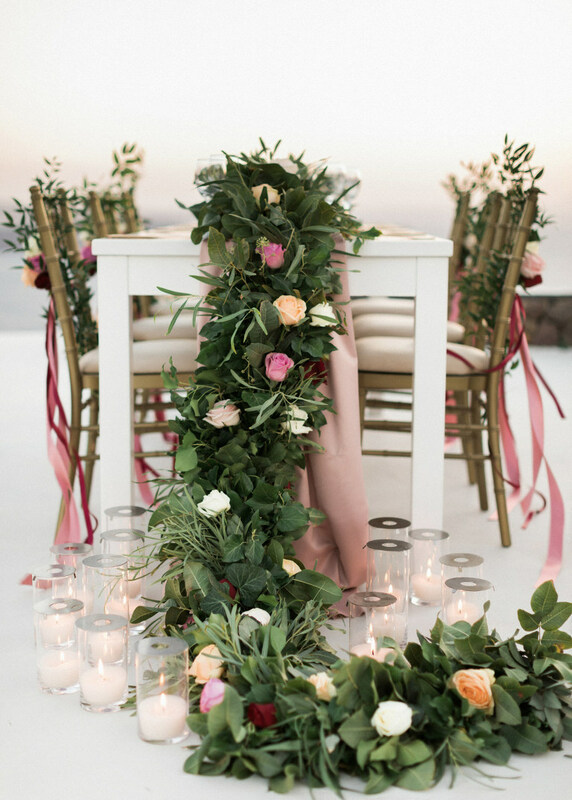 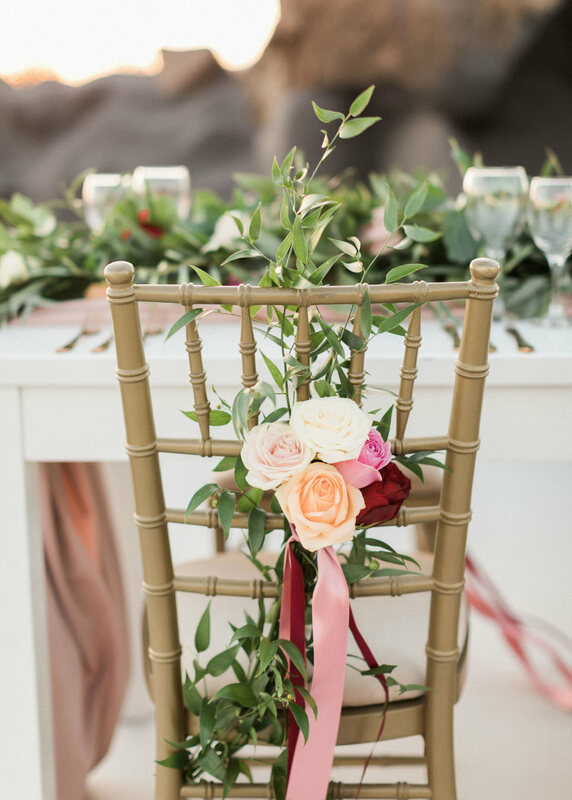 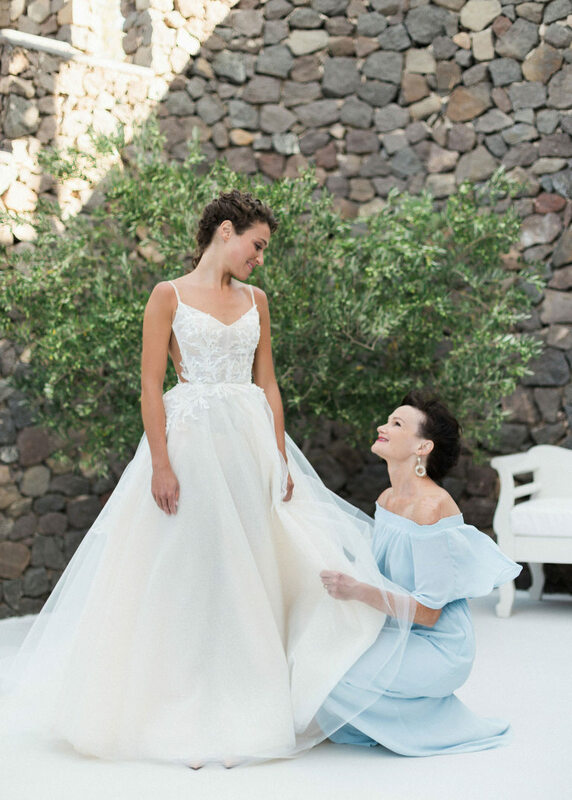 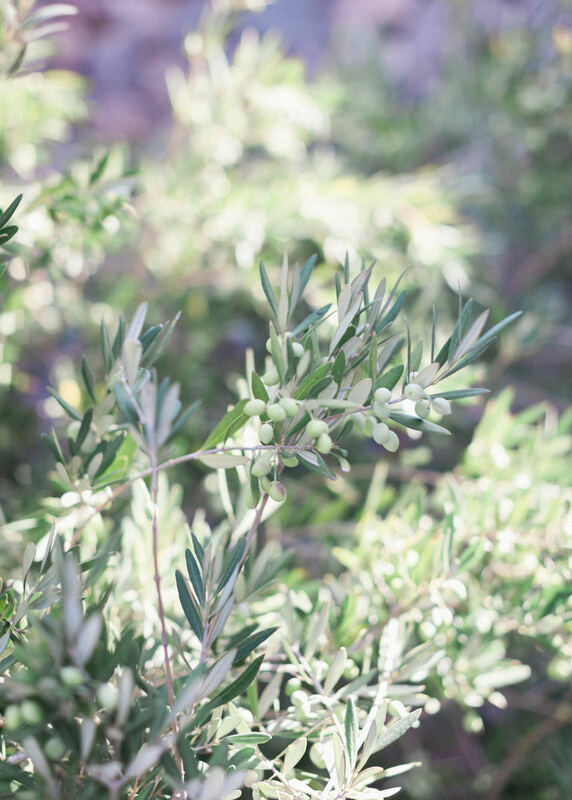 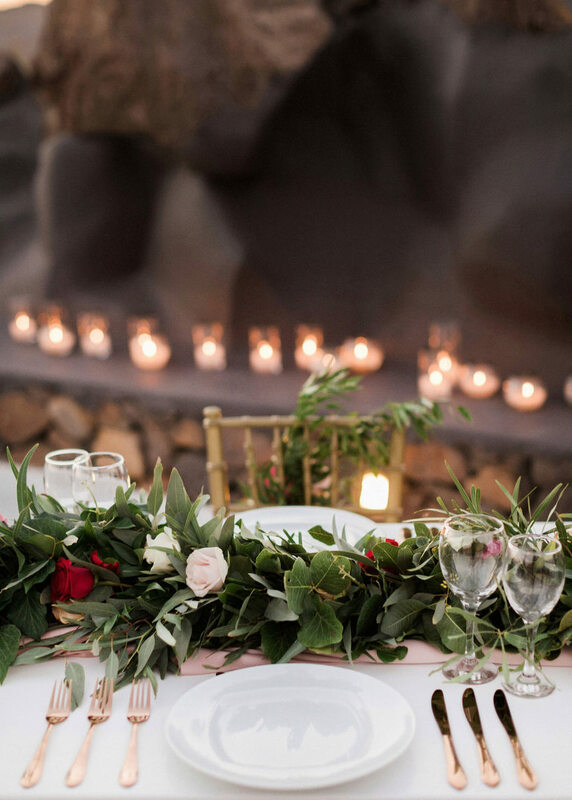 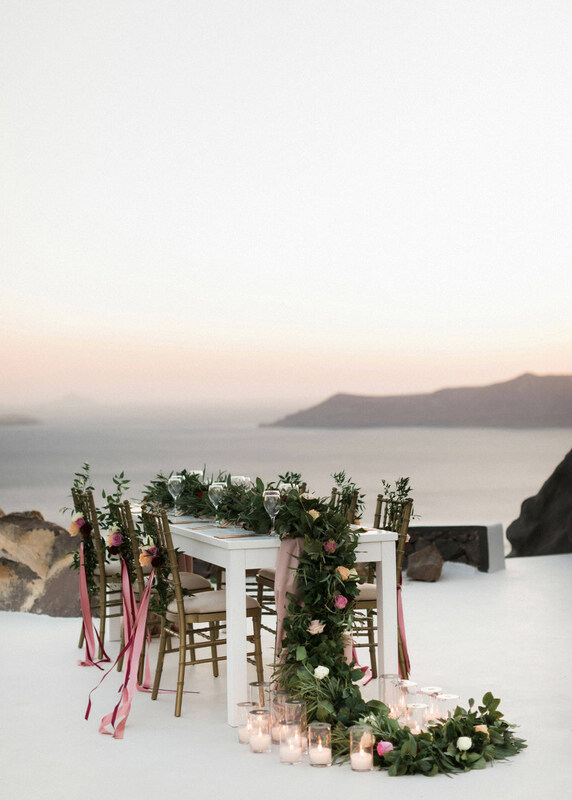 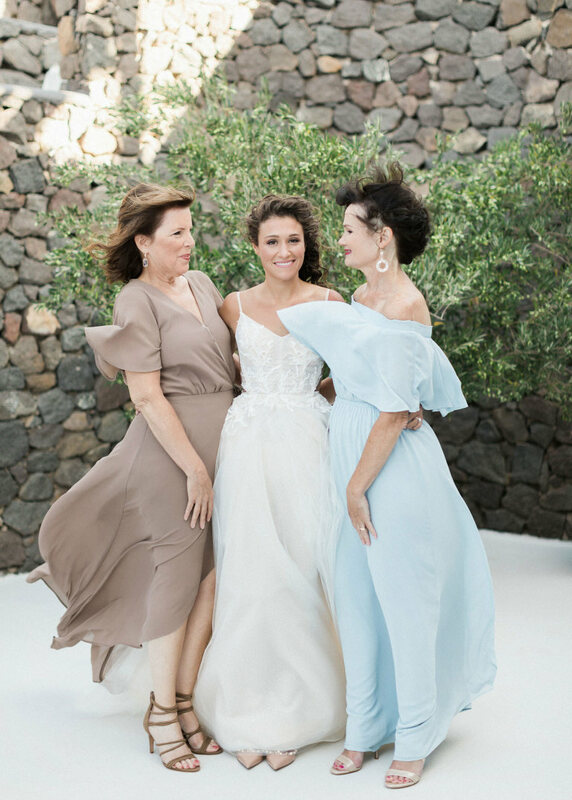 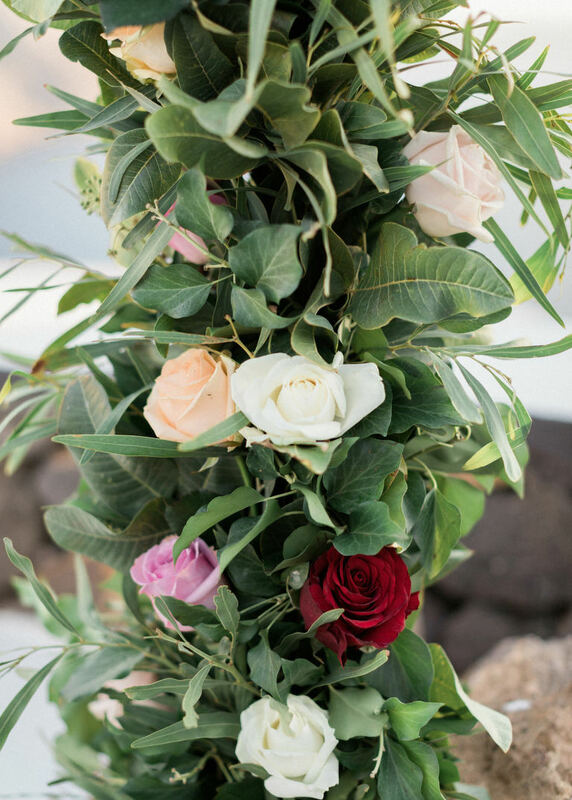 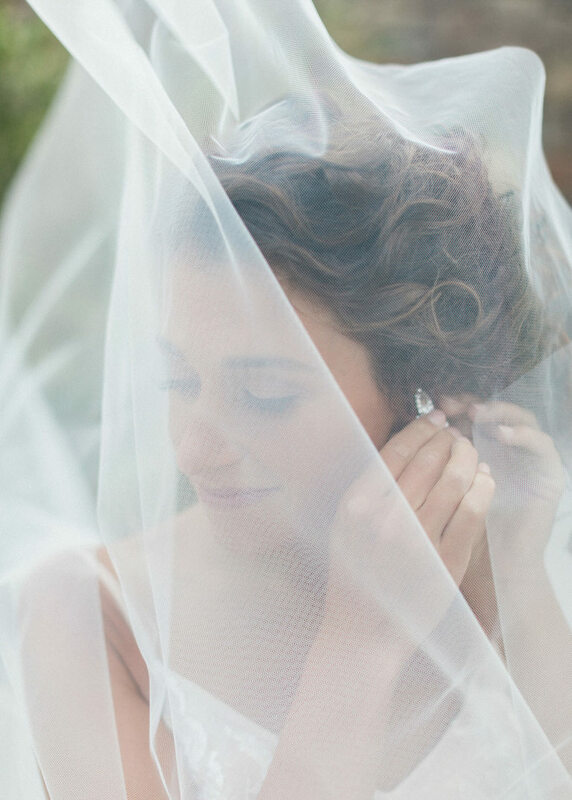 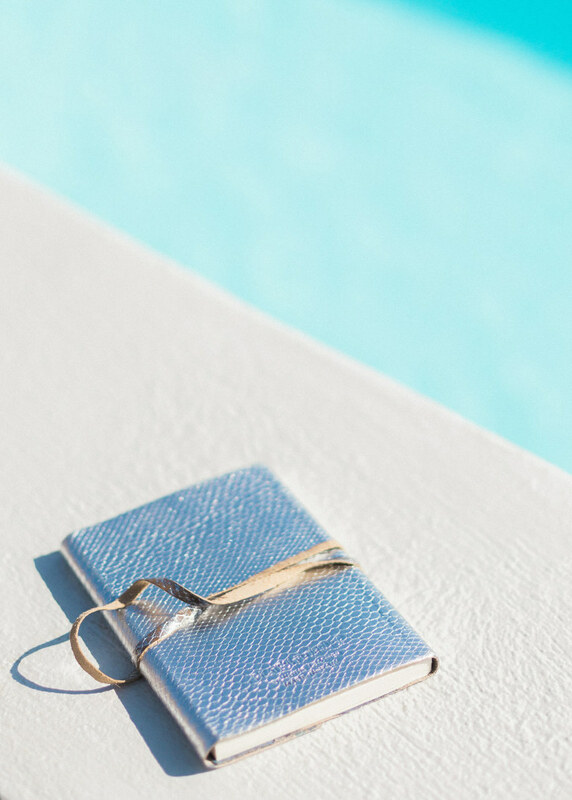 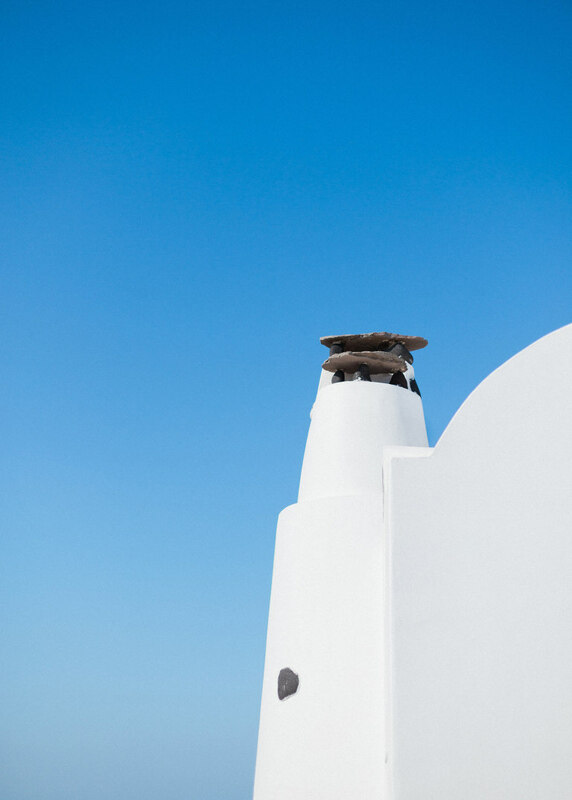 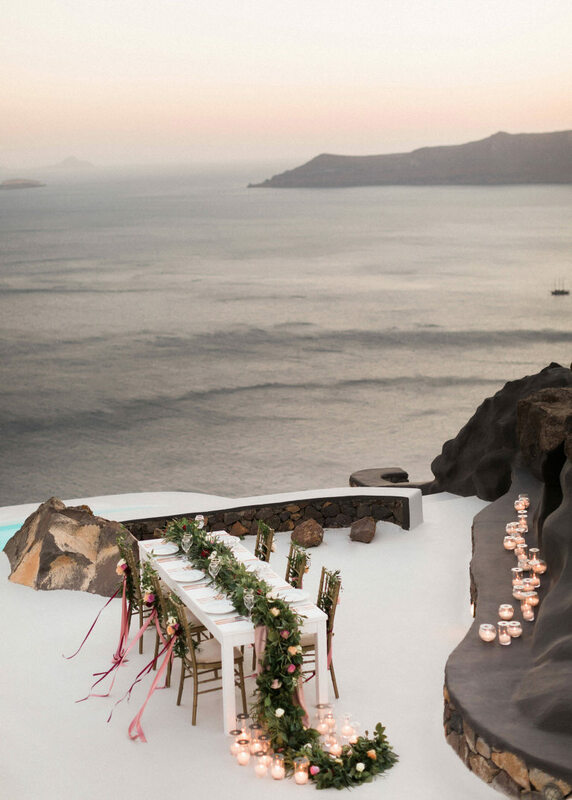 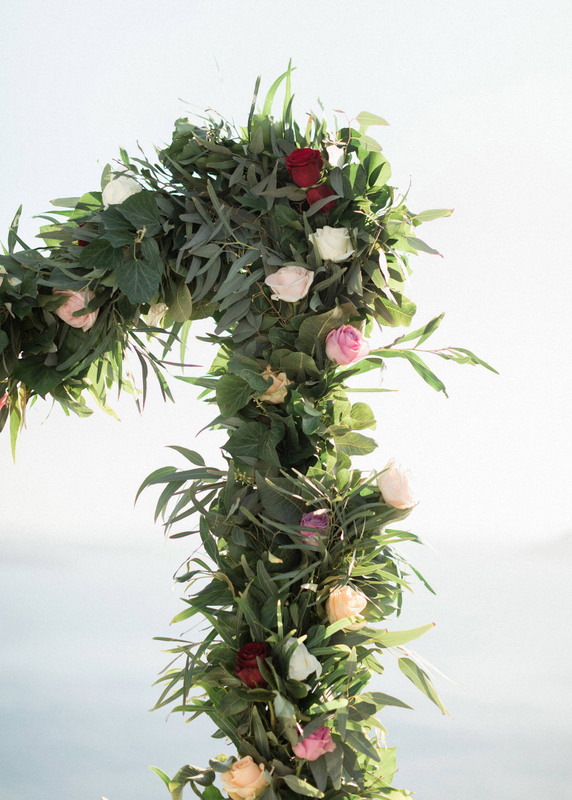 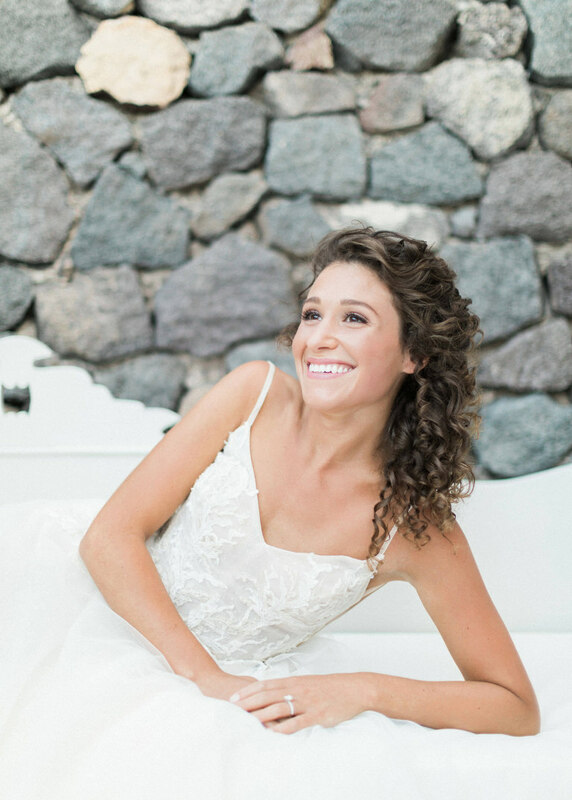 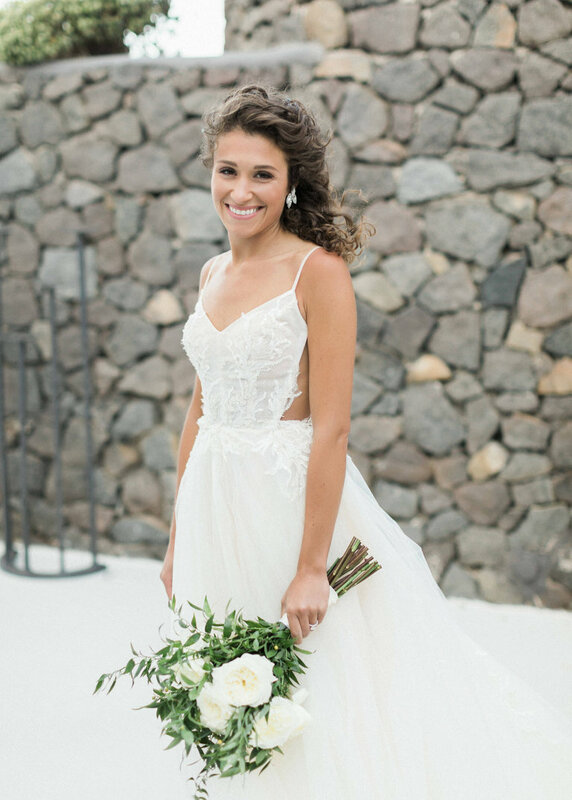 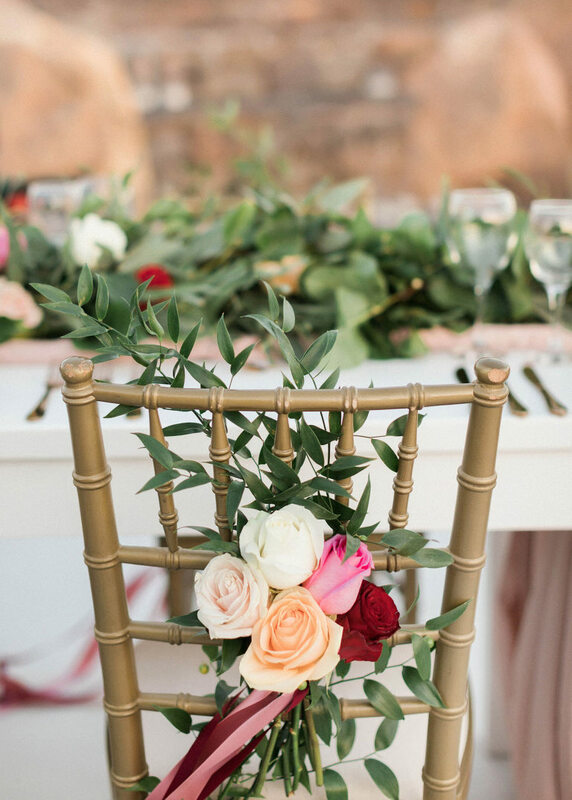 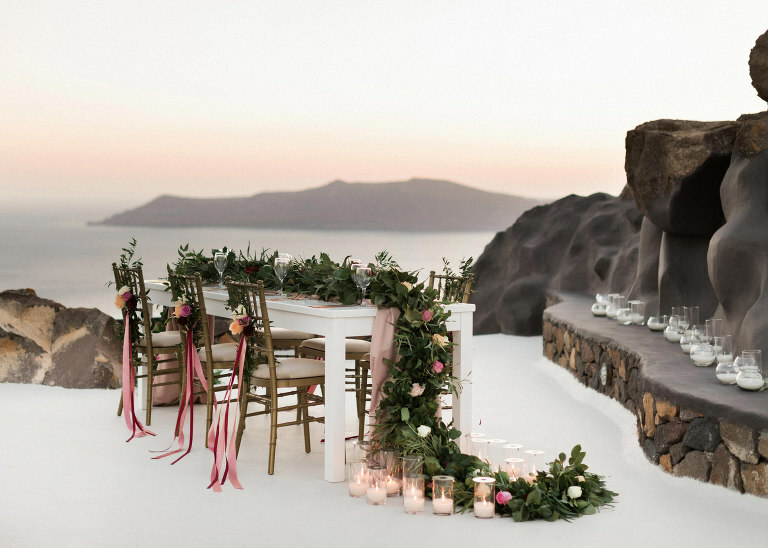 On the day of their wedding, our wonderful friends and super talented planners Julia and Evita from Santorini Glam Weddings brought all the pretty to Samira and Justin’s private terrace at Aenaon Villas, perfectly perched to what seems on top of the world. 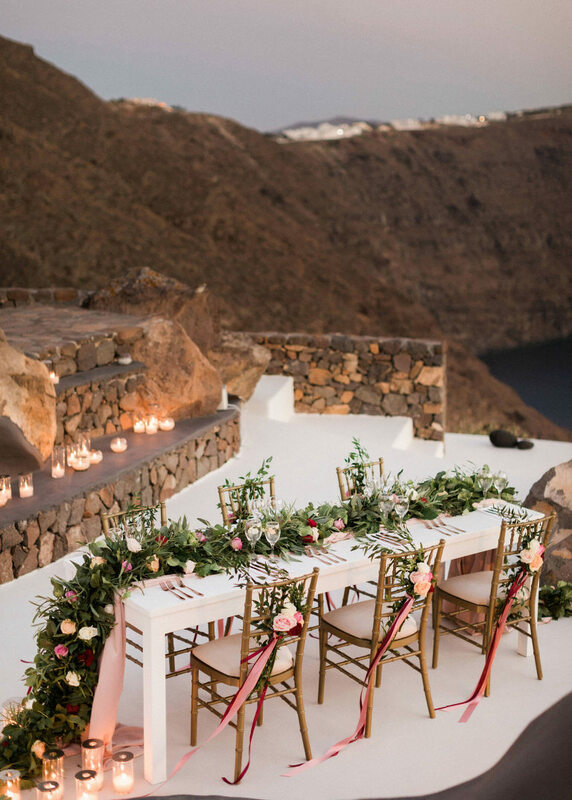 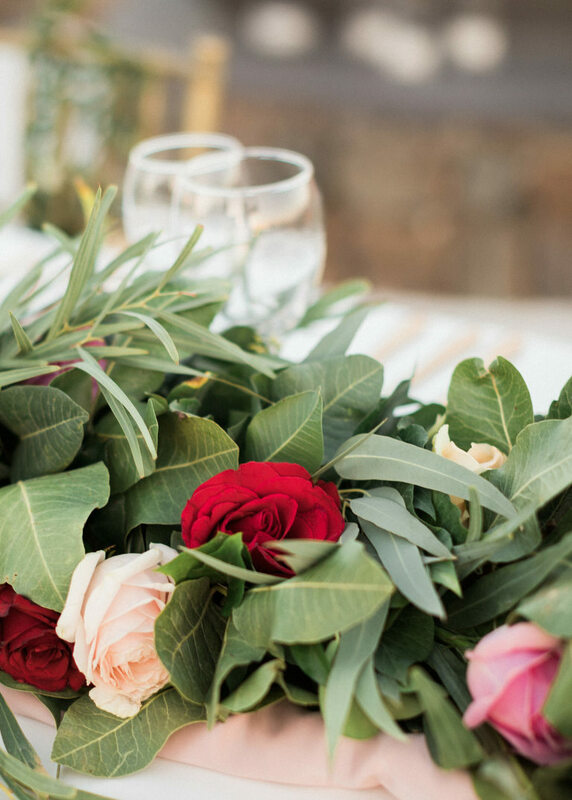 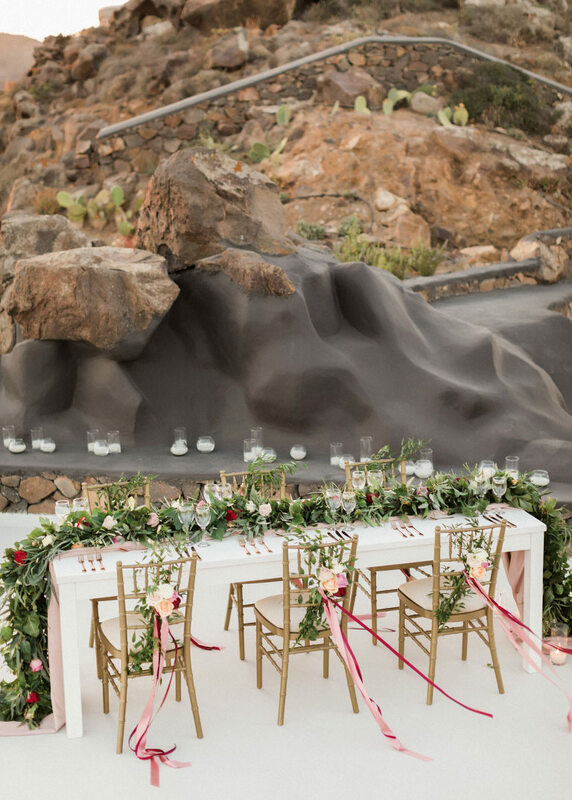 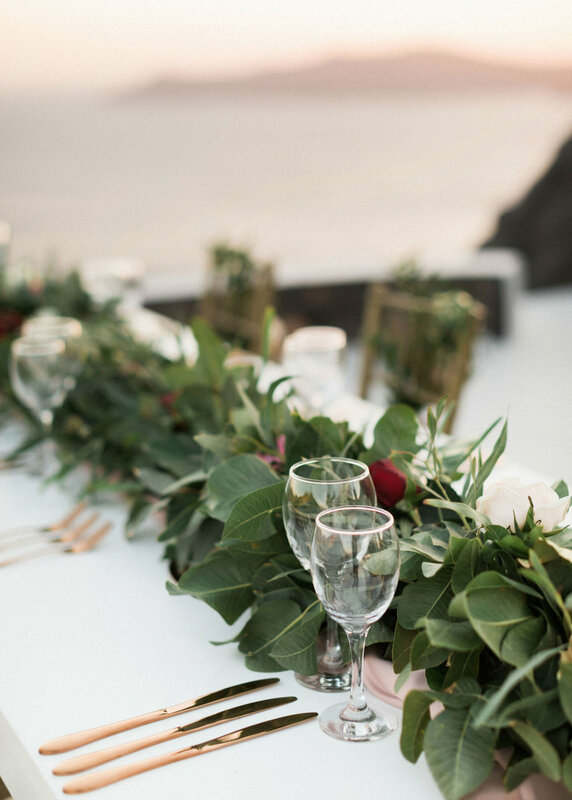 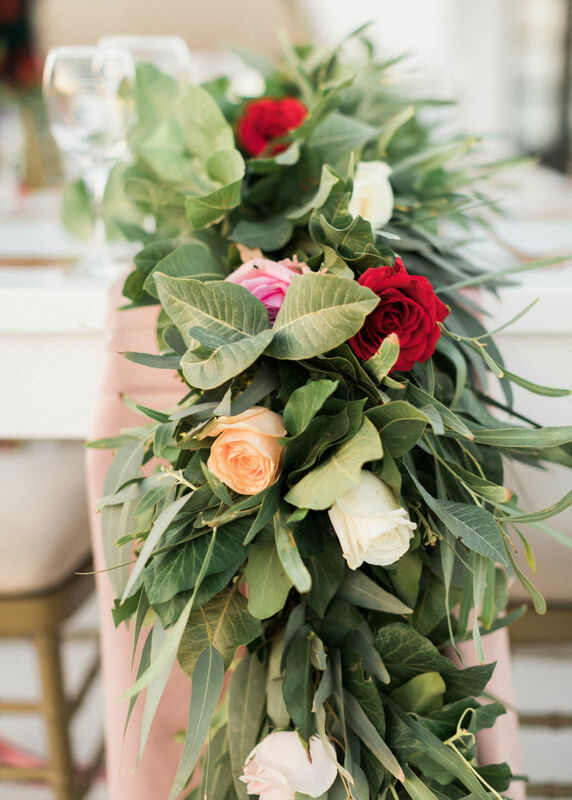 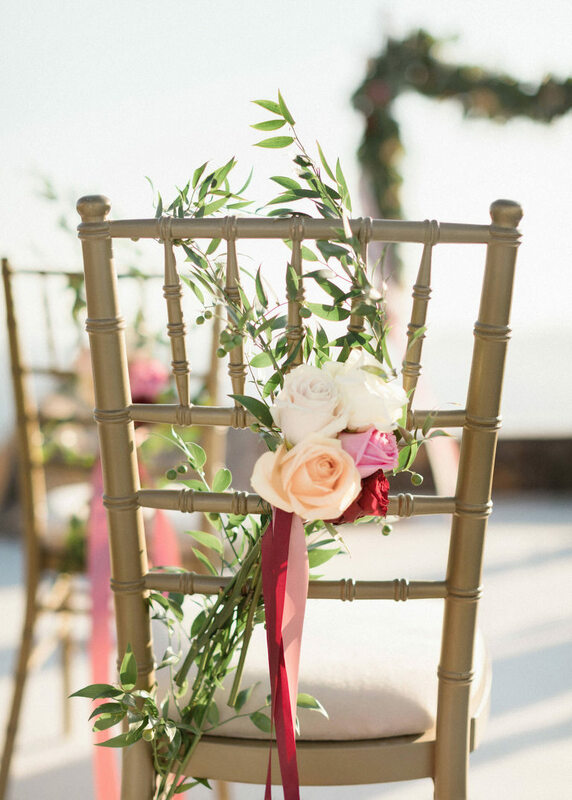 The couple’s minimalist approach with neutrals whites with tons of greenery, popped with sleek bursts of sunset hues, volcanic reds, and burgundies (Santorini is after all volcanic as is restless), and a perfectly poised flower arch in lieu of a table runner at dinner we totally crushed on! 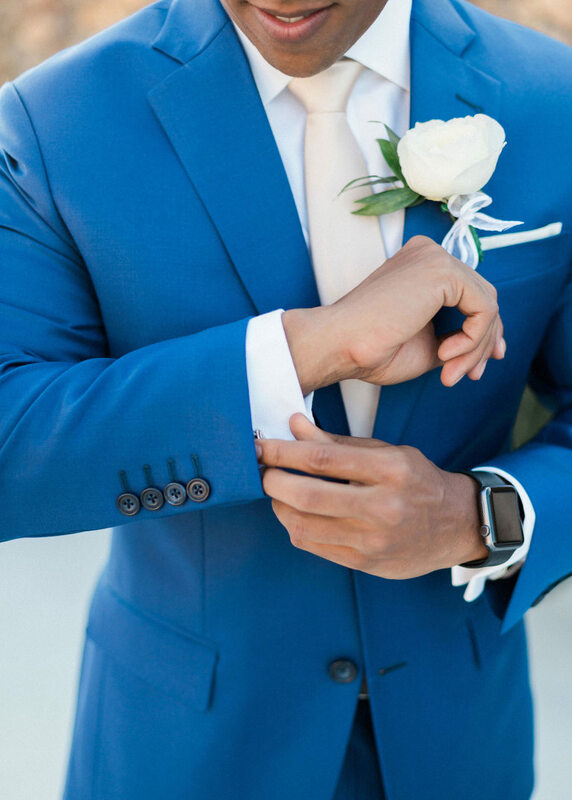 We can’t stress this hard enough! 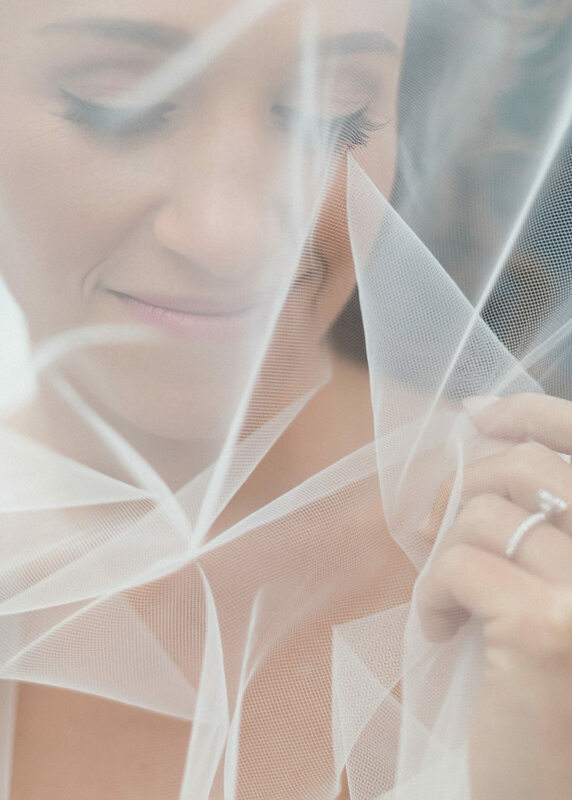 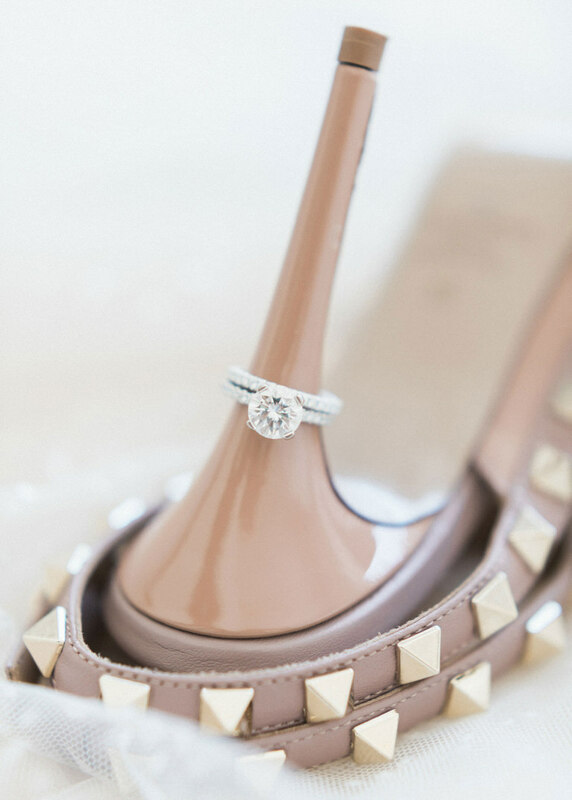 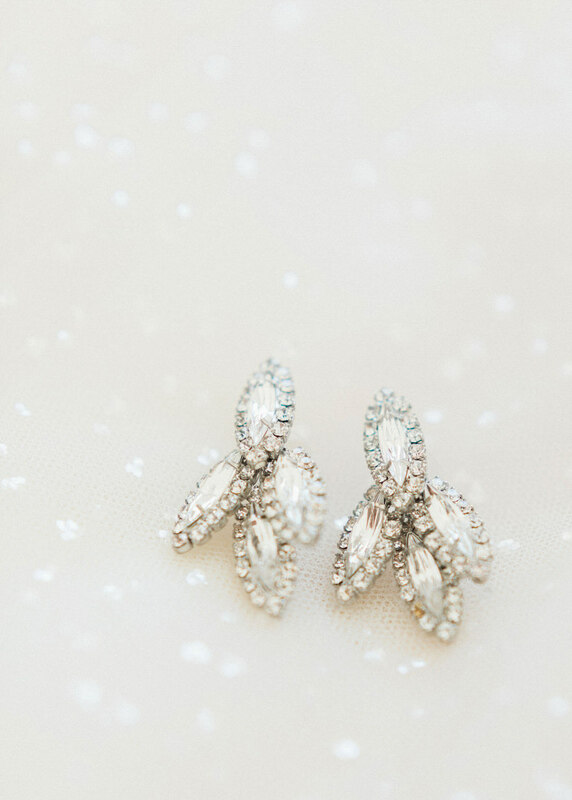 We just LOVE a first look session before the wedding! 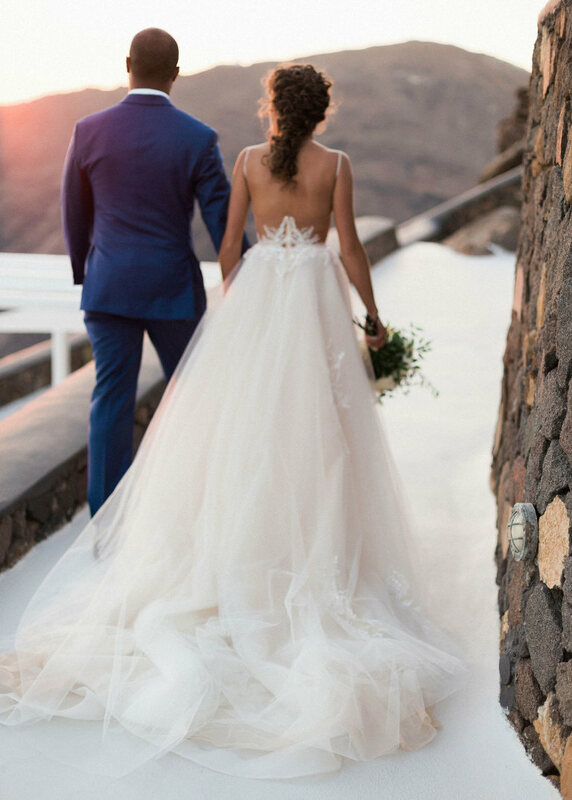 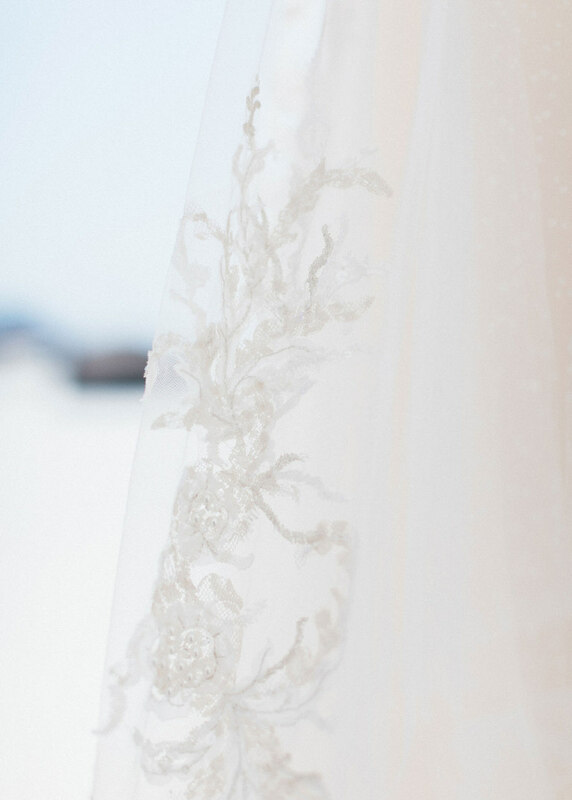 Samira was ravishing in her Ines Di Santo dress (she already had a little bit of Santorini in it right from the start, didn’t she?) 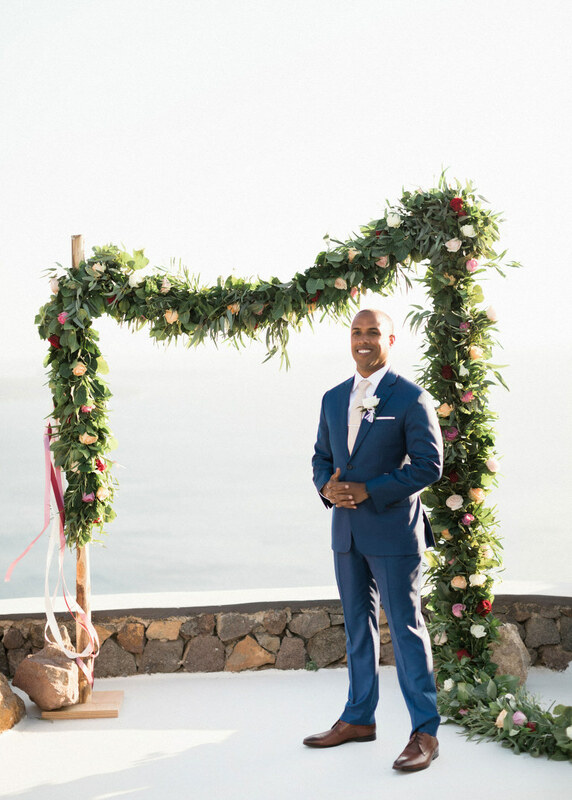 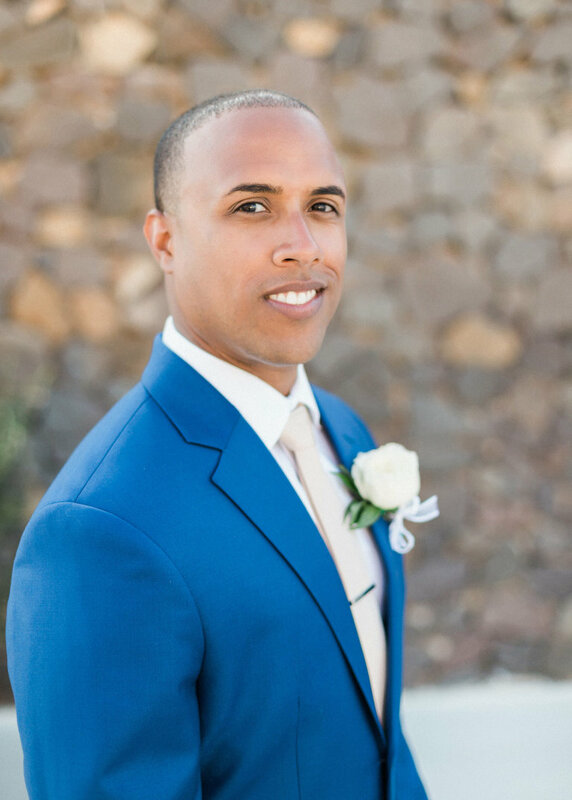 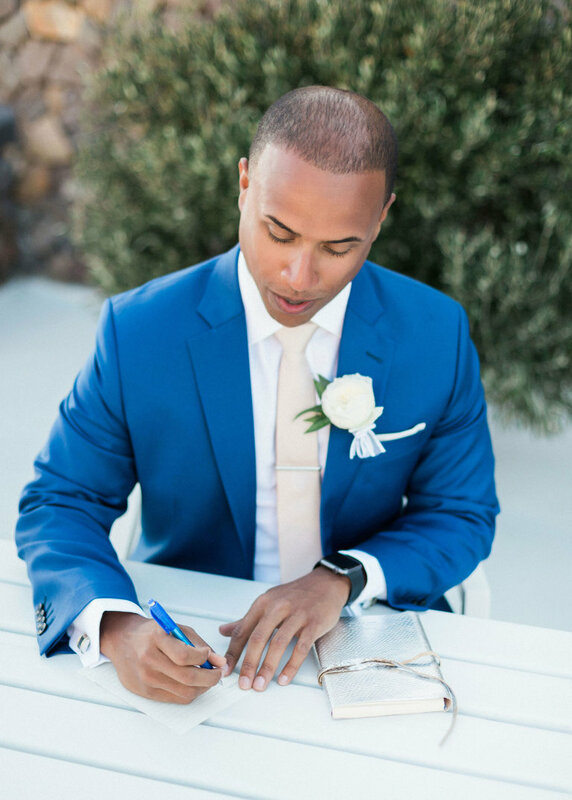 and Justin all dappered up, made their “I do’s” even more memorable with their first looks and we all had to put an extra effort not to bawl. 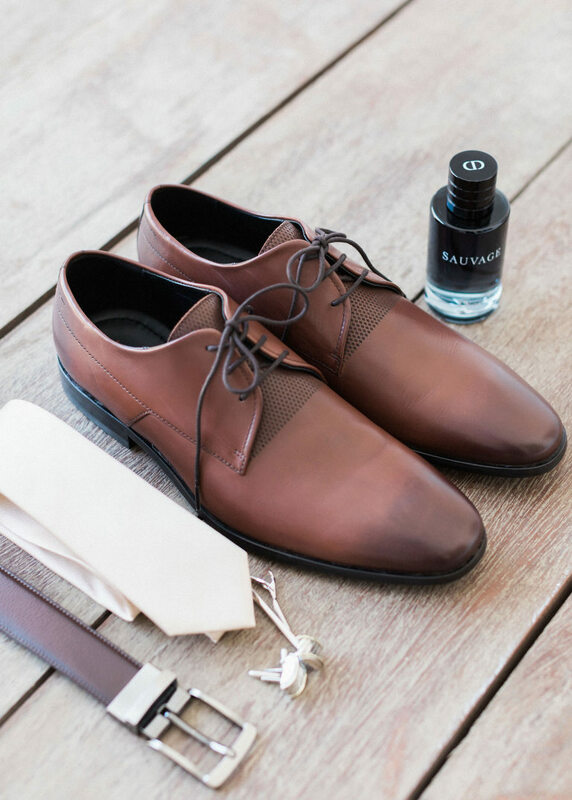 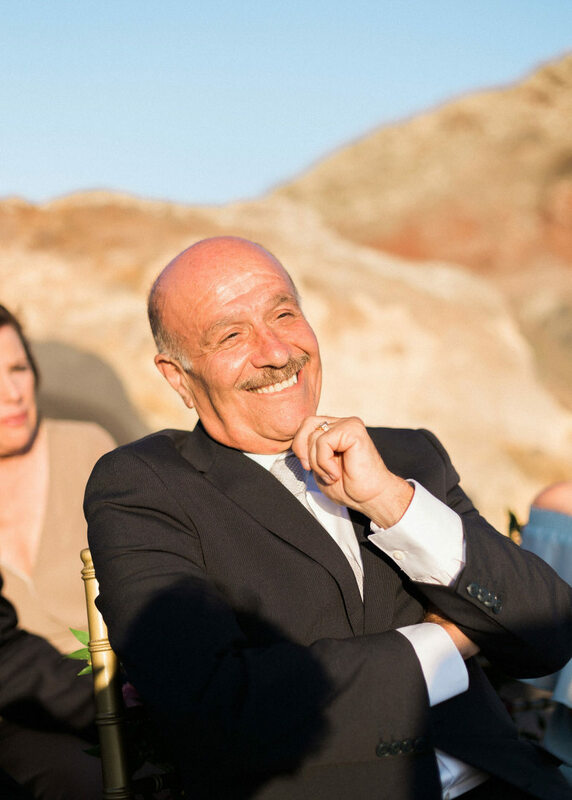 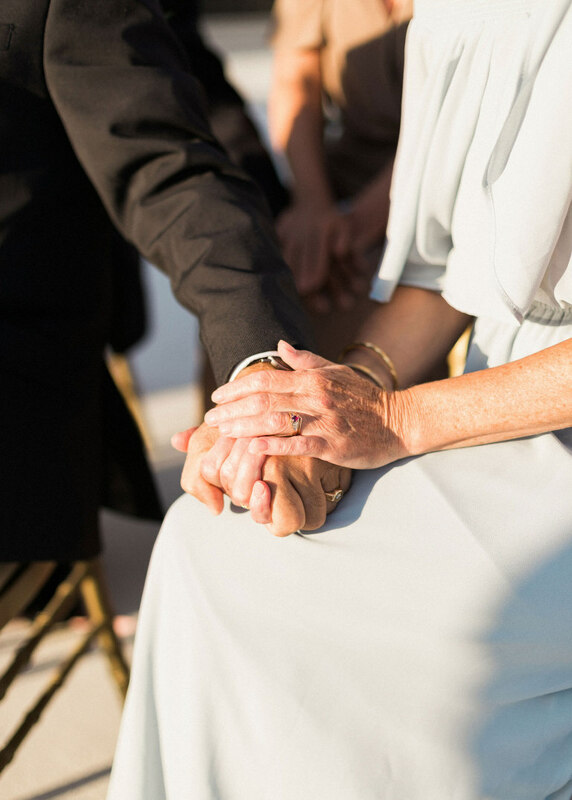 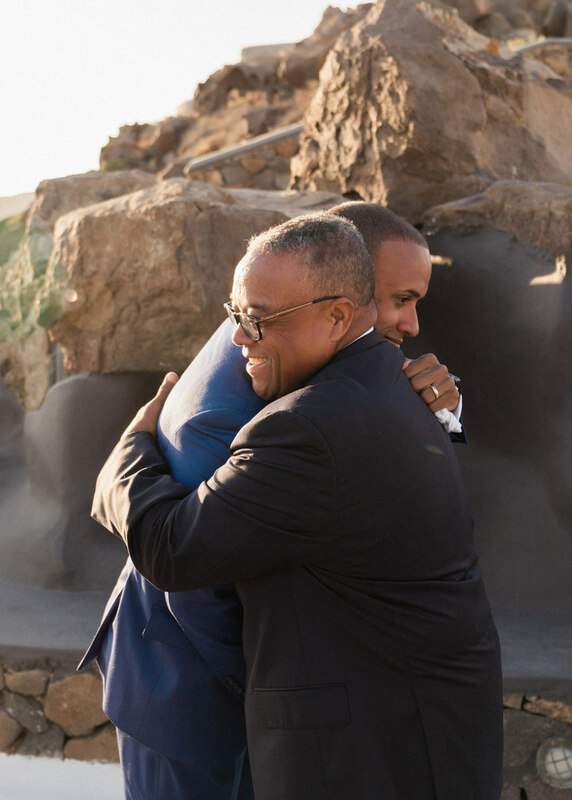 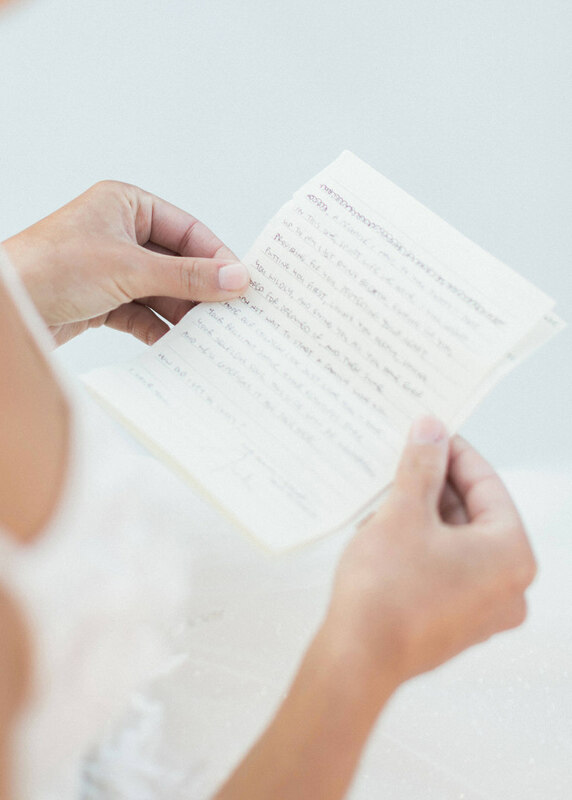 No matter how sophisticated a wedding is it is these moments that a couple cherishes the most so after convincing ourselves to stop tearing, we moved onto their wedding entrance where Justin’s father slipped a white handkerchief in his hands given to him by his late grandfather. 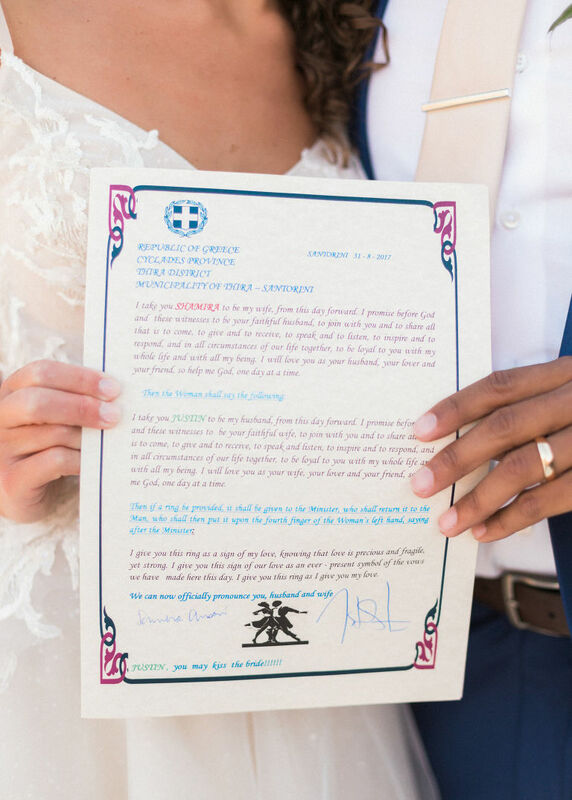 More goosebumps anyone? 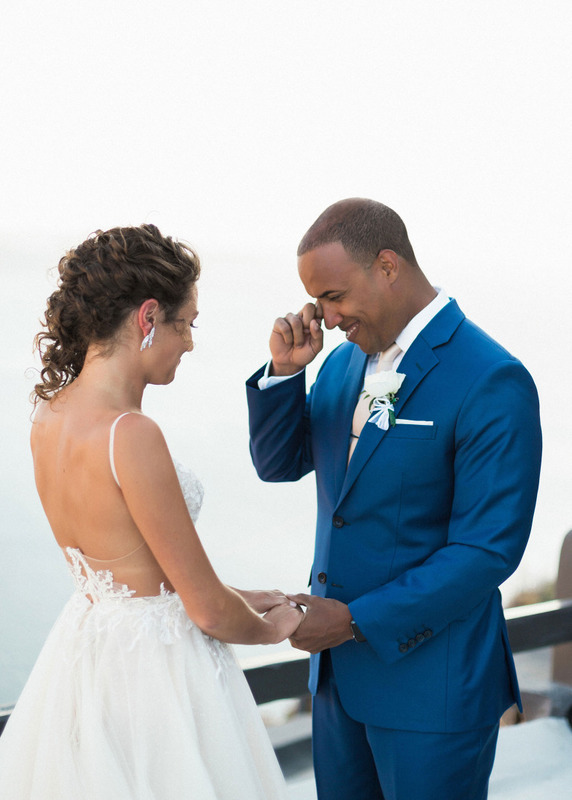 After an incredible ceremony, the party literally took off with Justin’s music set which was compiled to bring generations together, with songs these two incredible souls love and tunes their parents had played on their weddings! 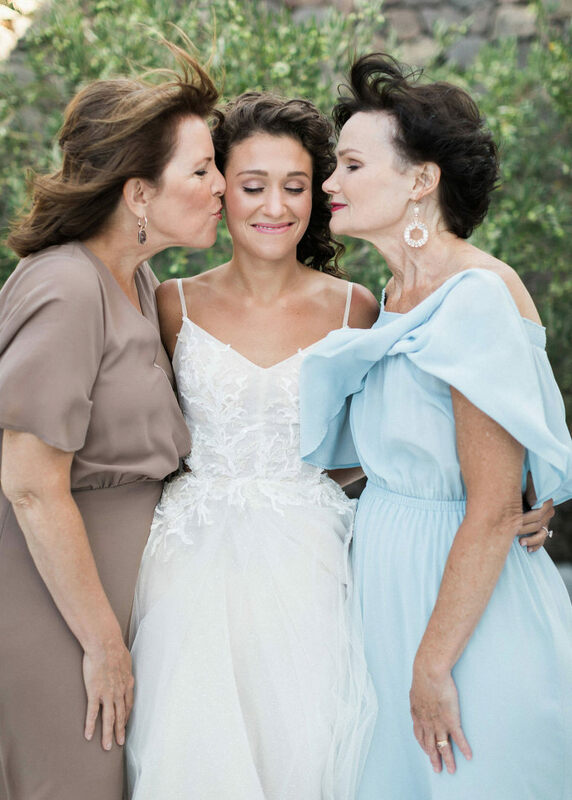 There can’t be a bigger blessing than giving and receiving so much love! 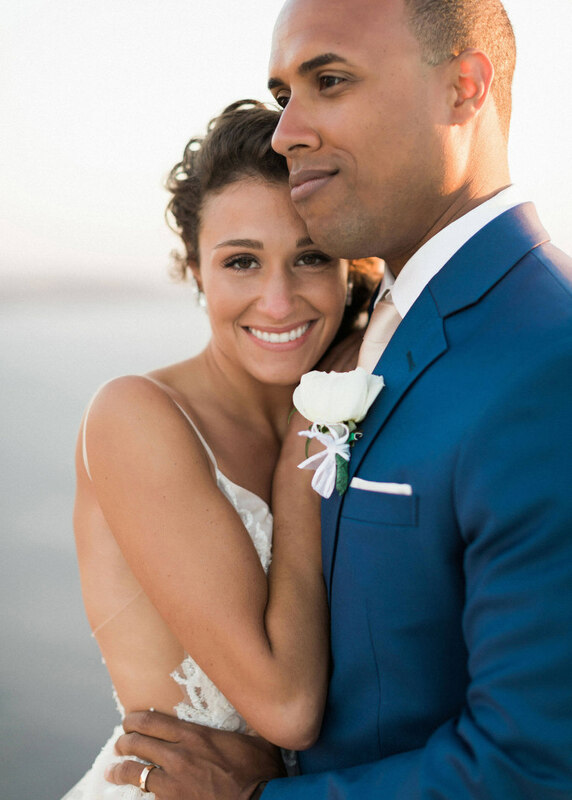 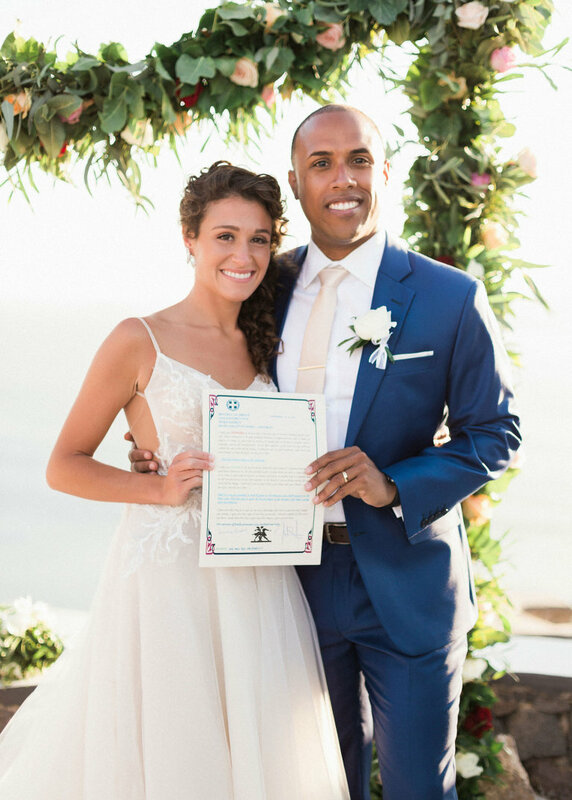 Samira and Justin’s wedding made our smiles shine bigger and our gratitude grow deeper, we can’t thank you enough! 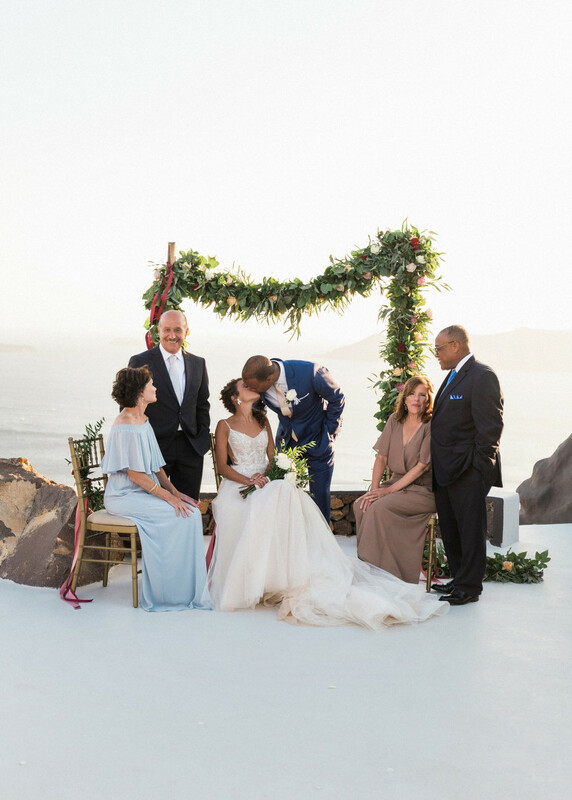 Congratulations new family!